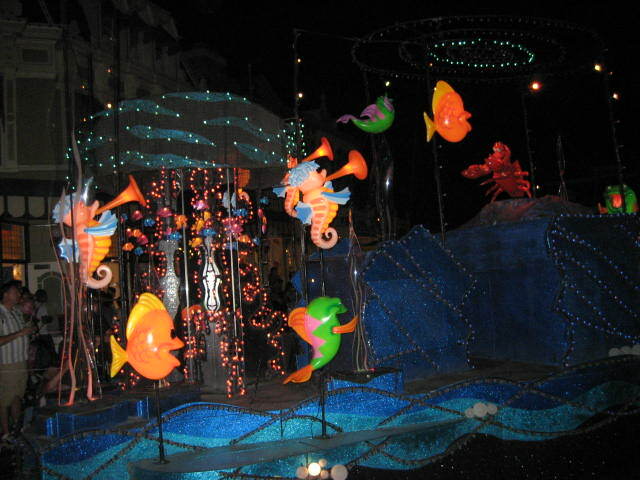 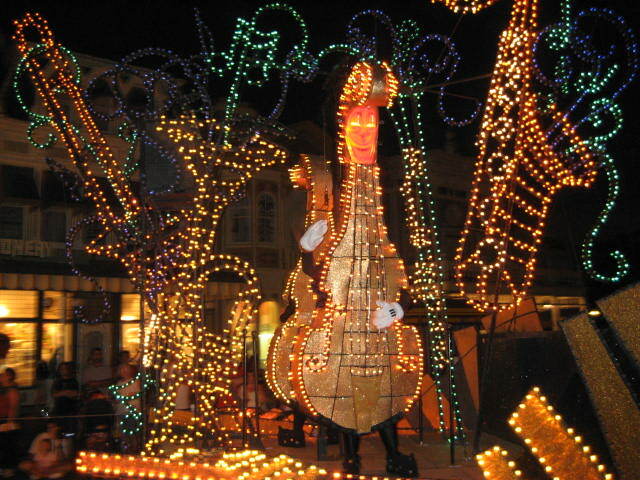 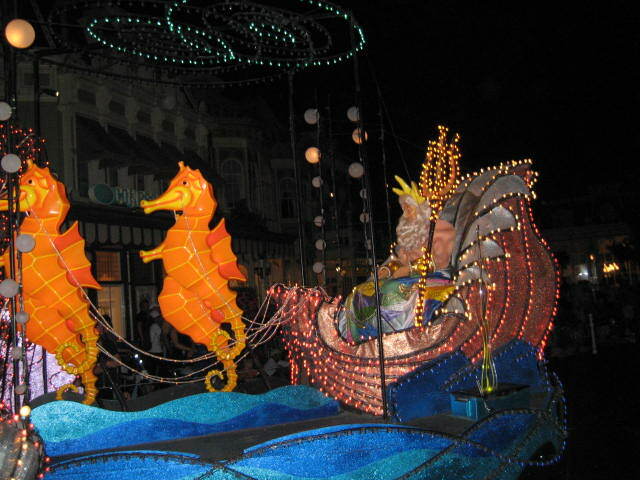 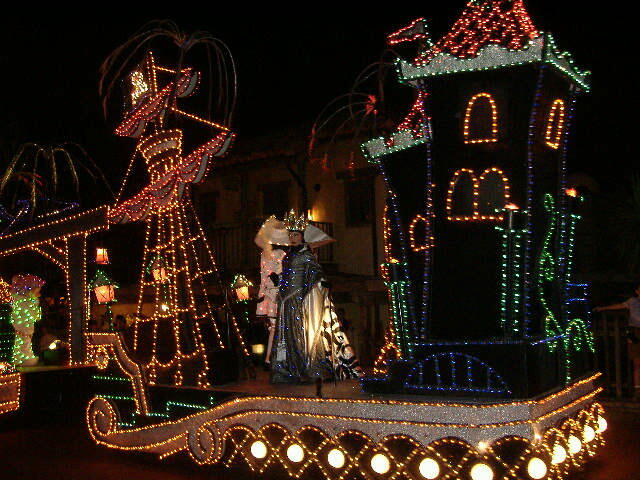 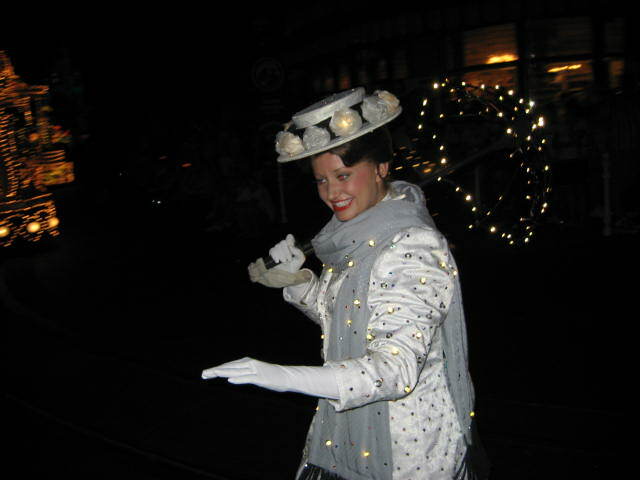 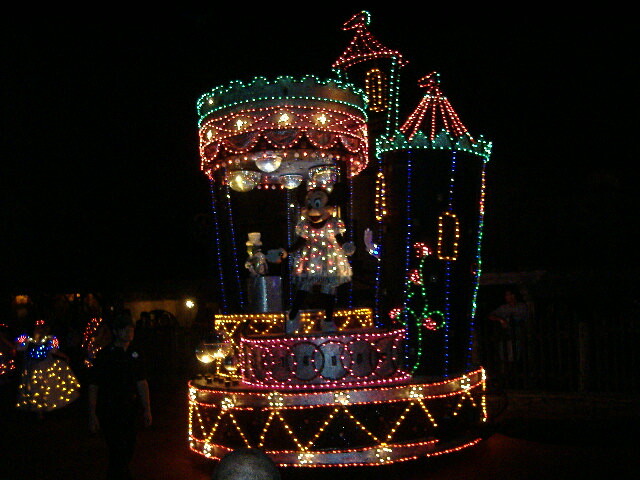 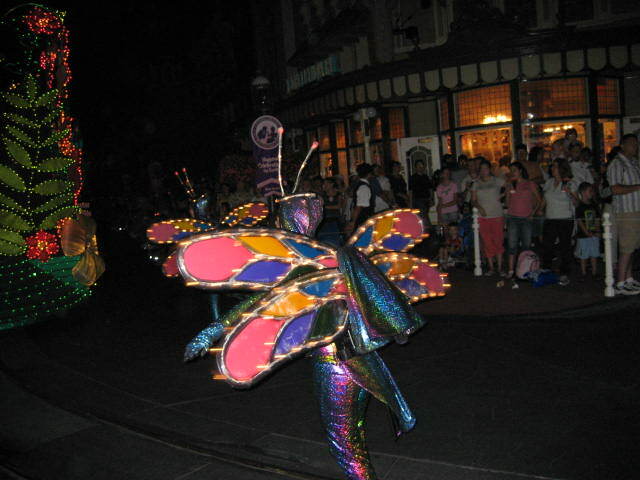 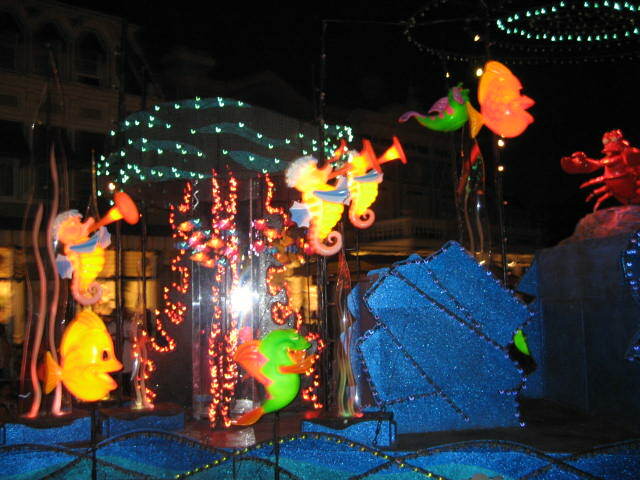 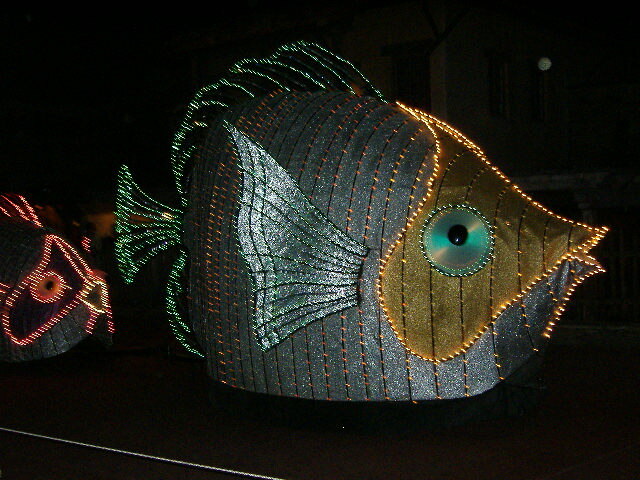 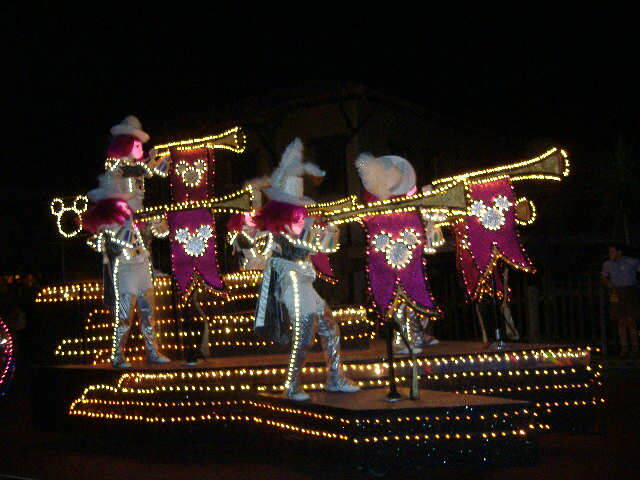 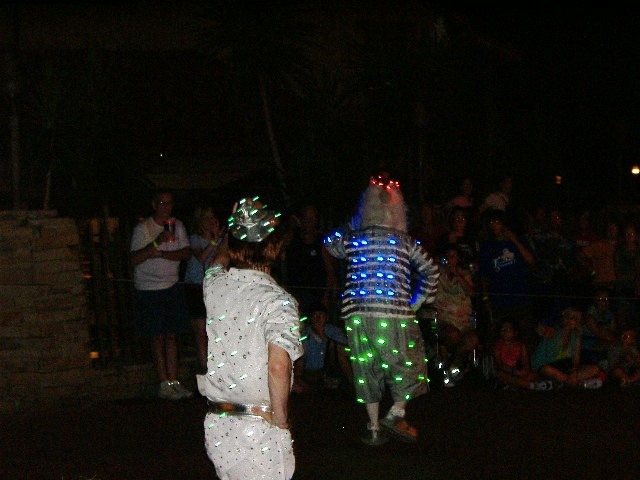 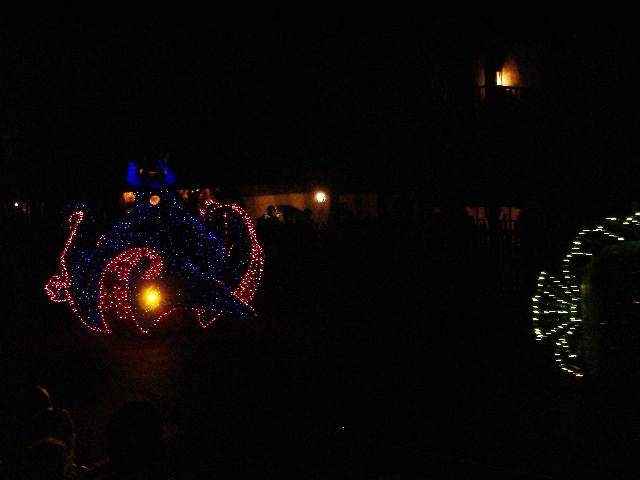 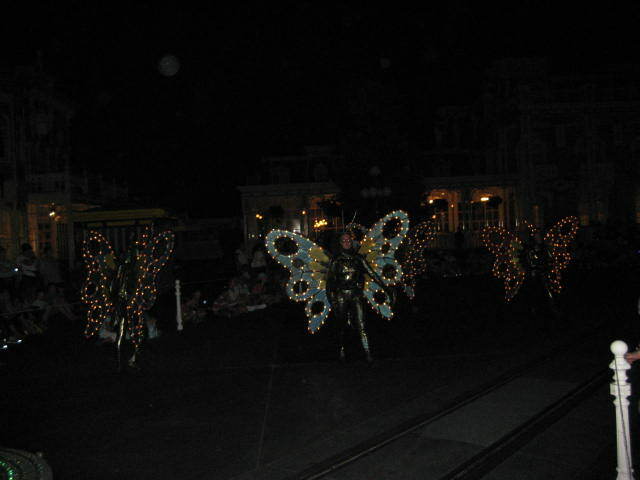 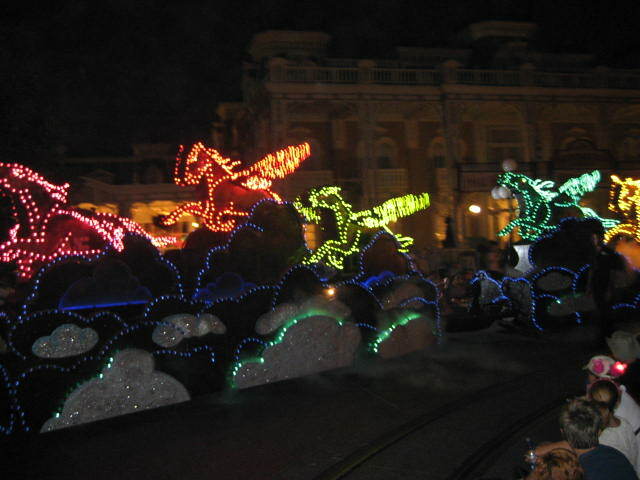 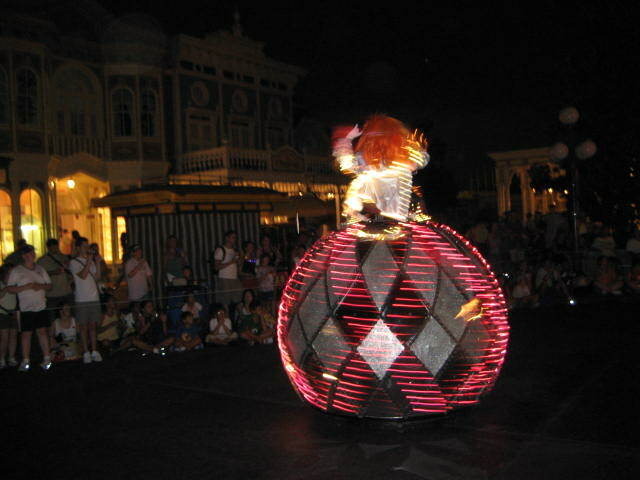 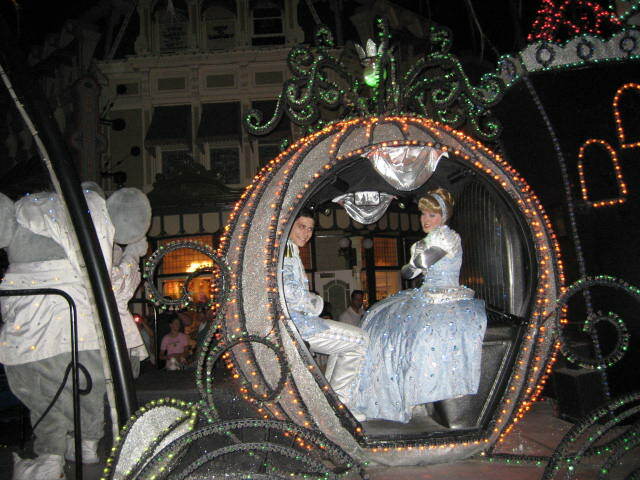 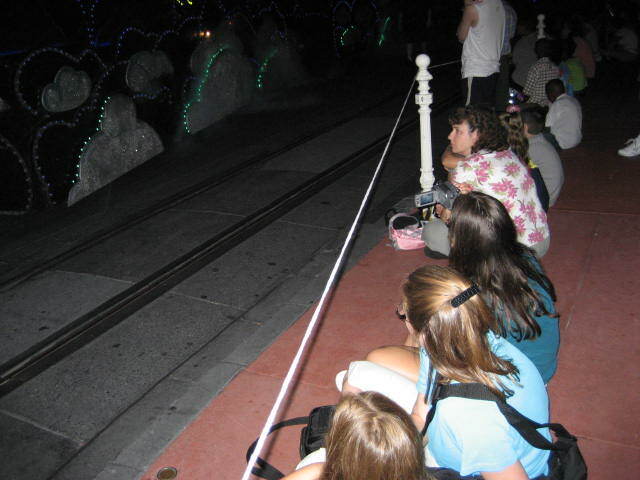 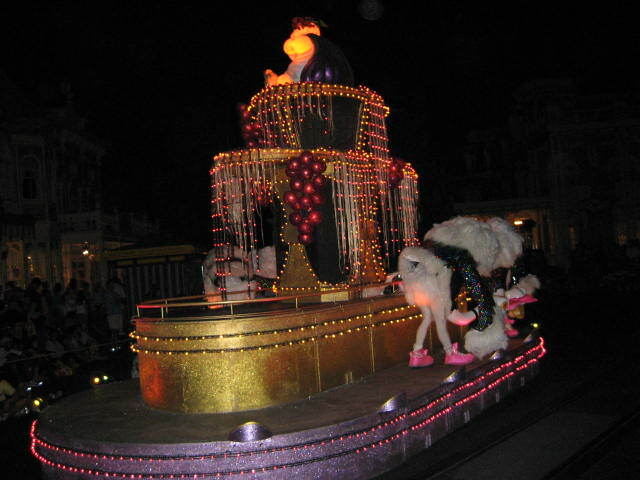 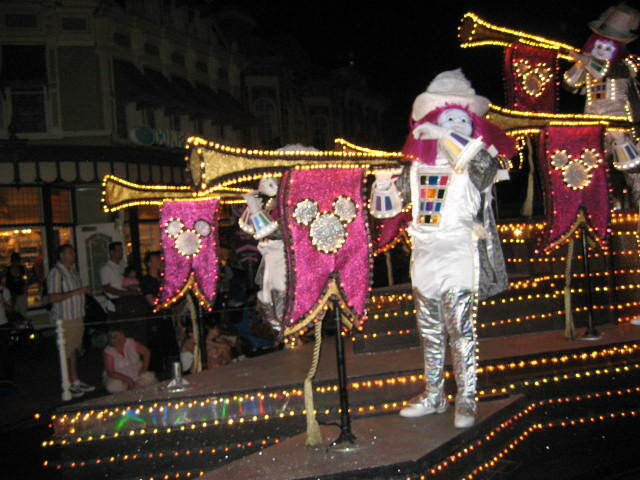 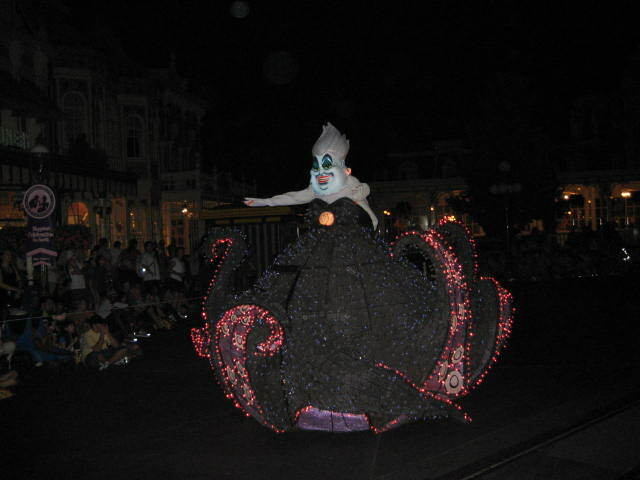 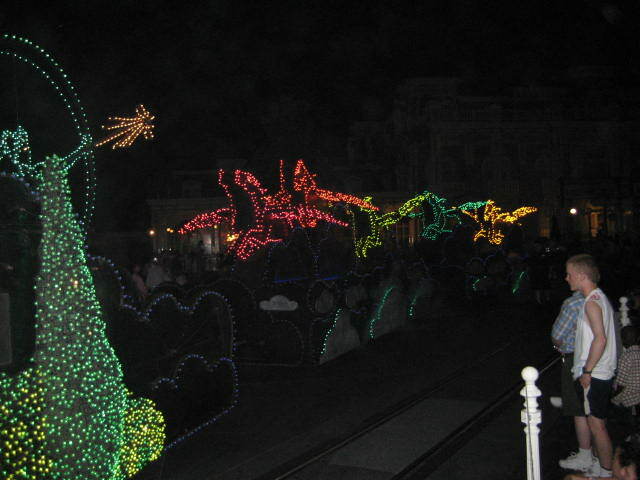 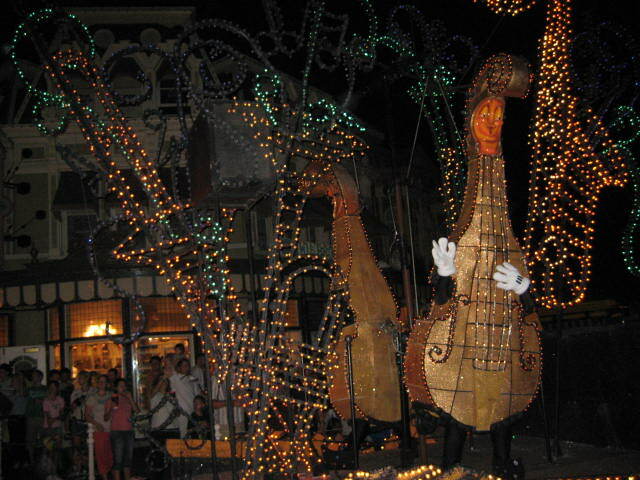 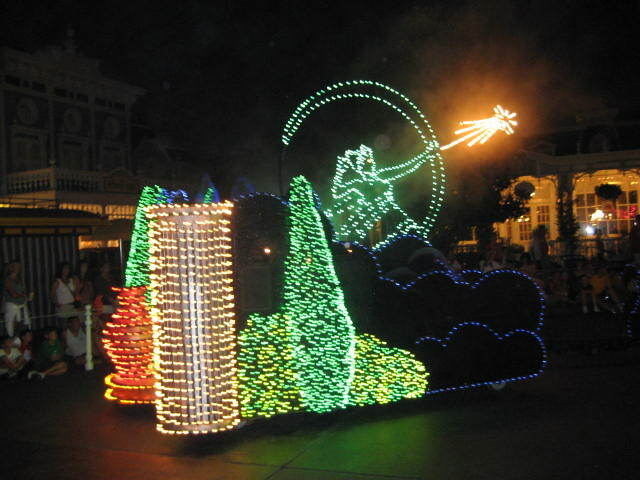 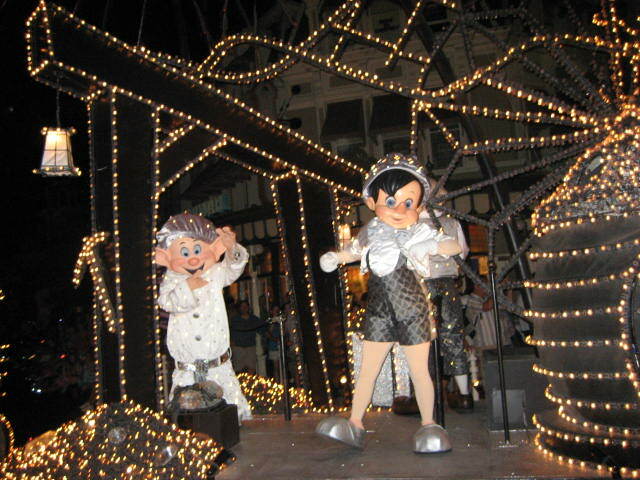 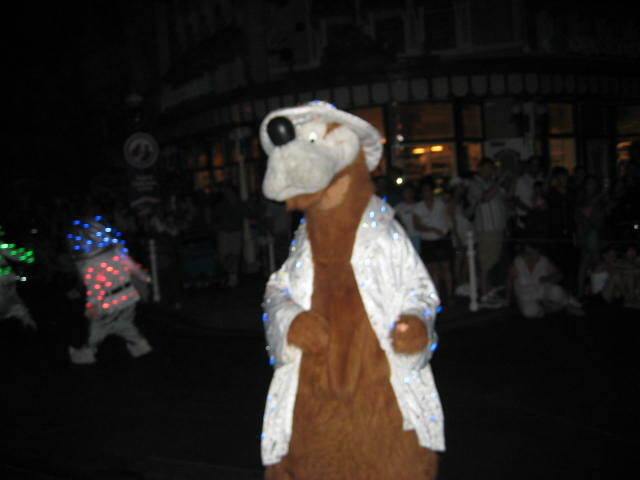 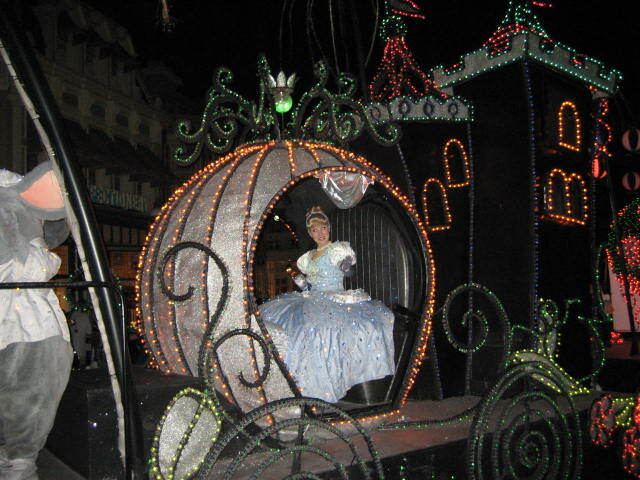 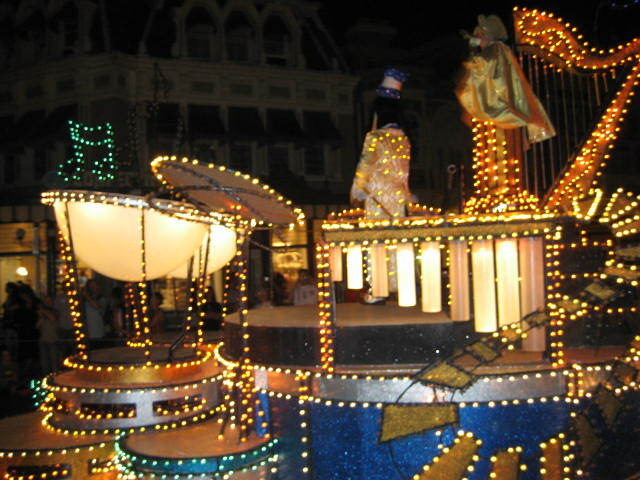 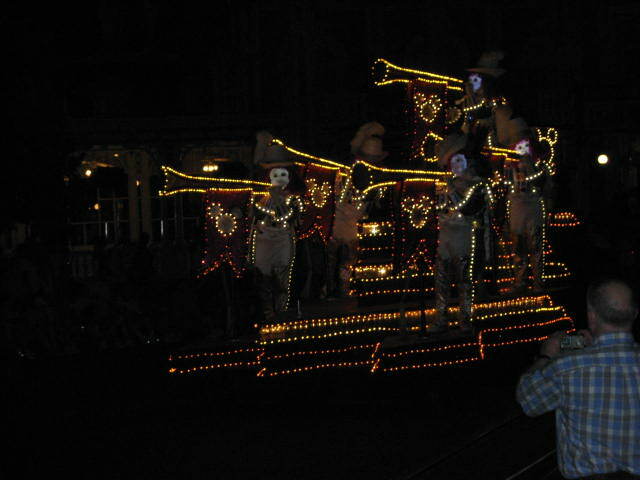 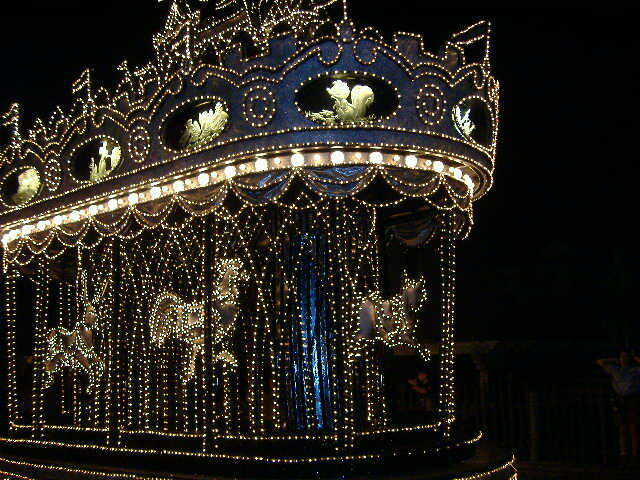 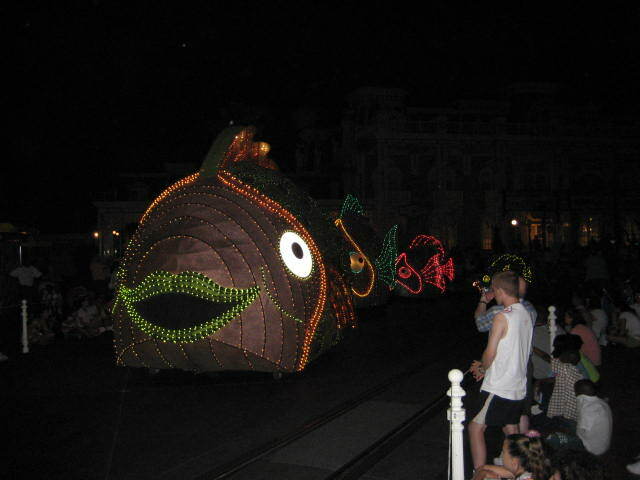 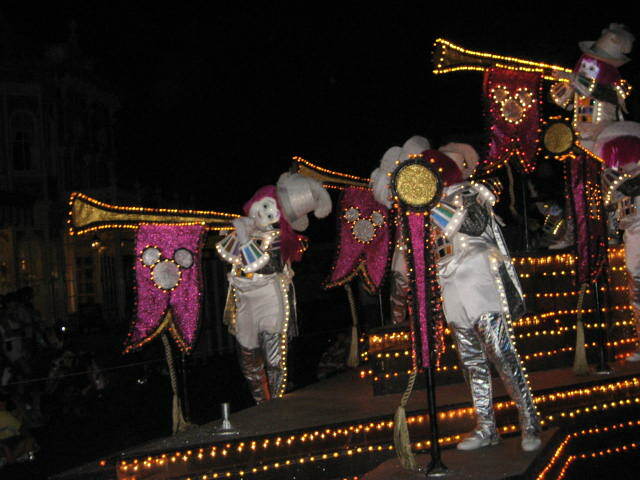 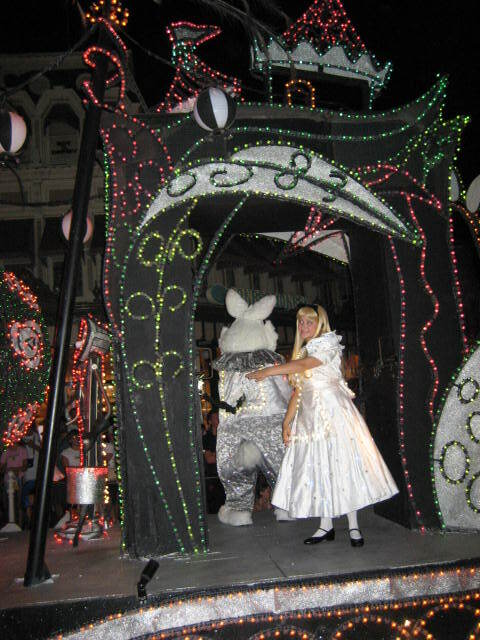 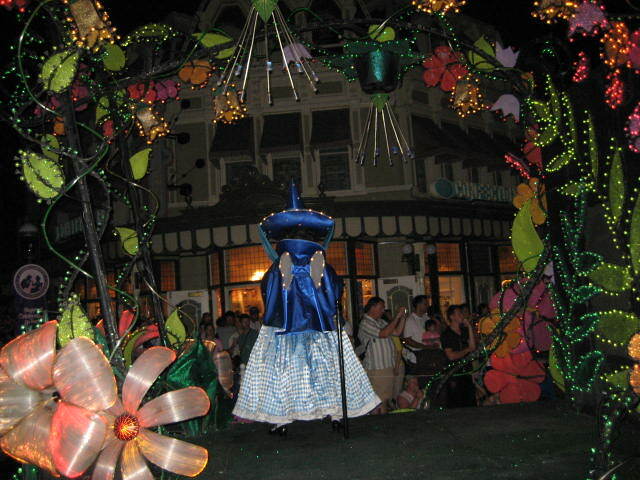 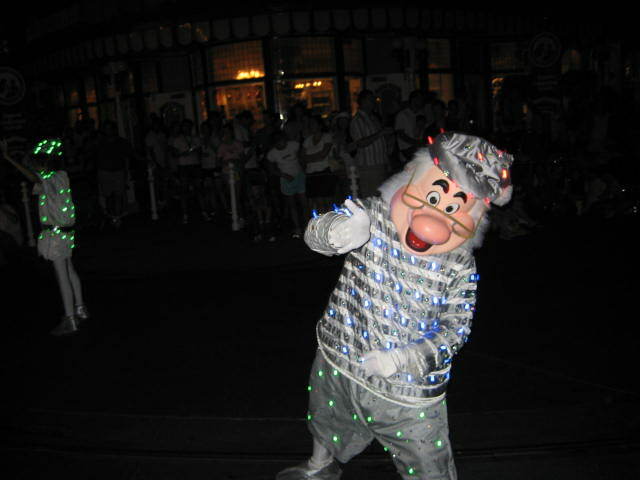 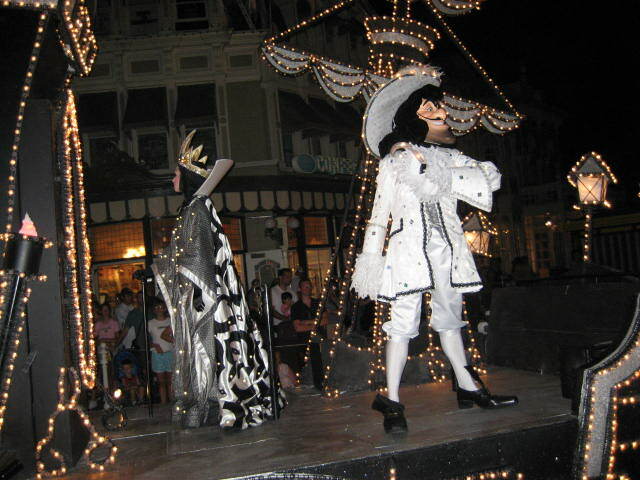 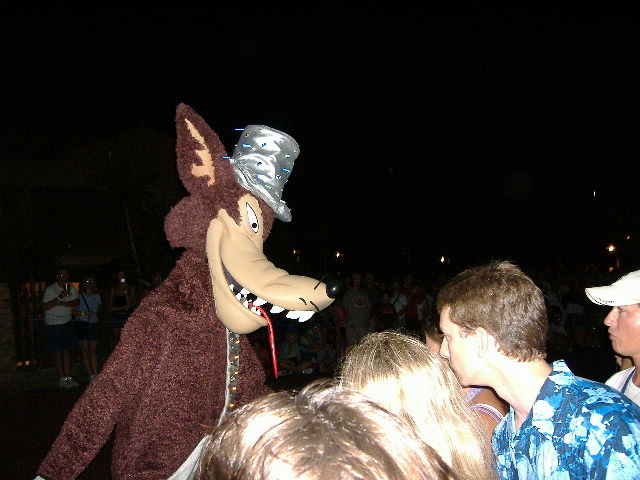 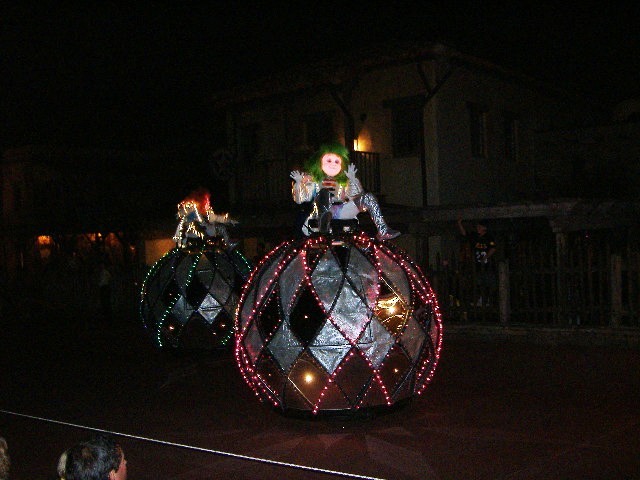 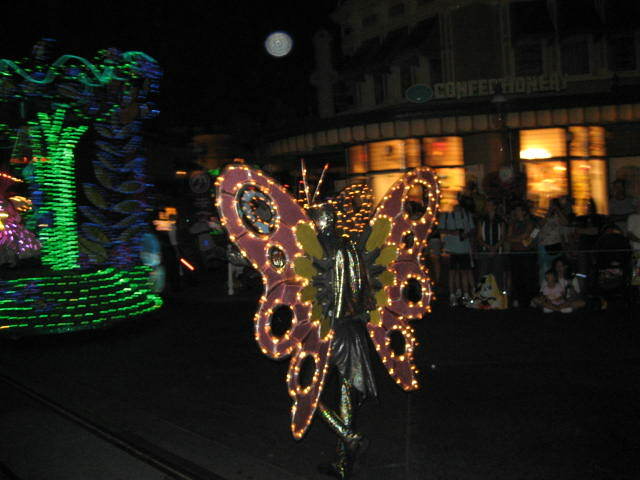 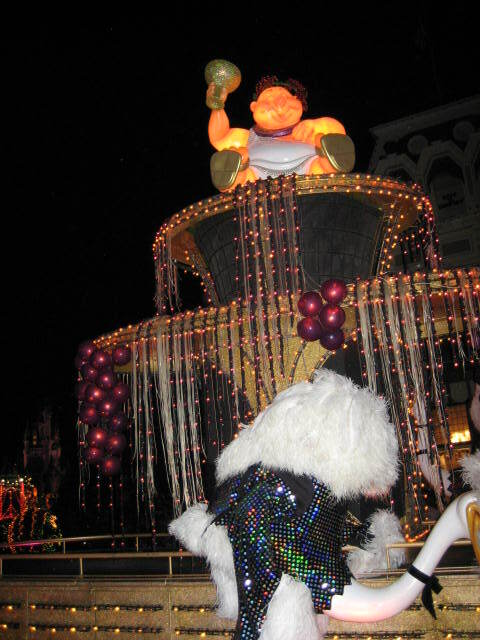 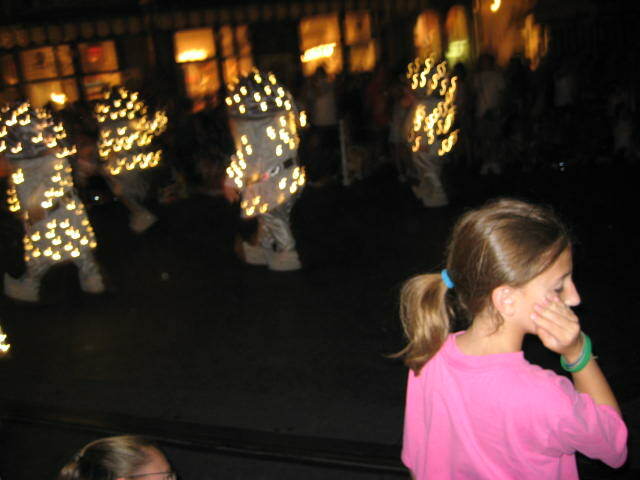 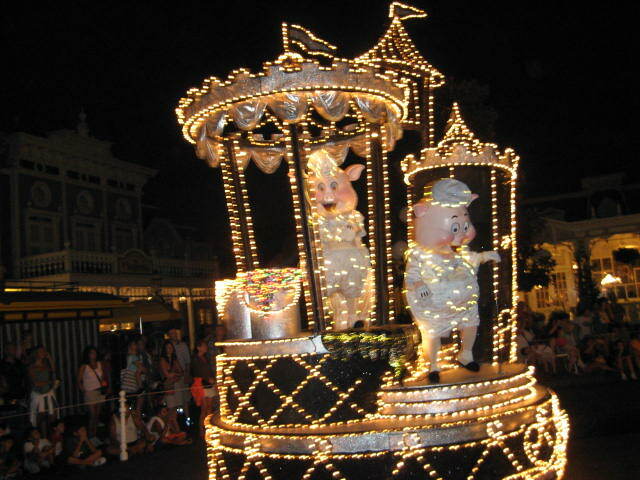 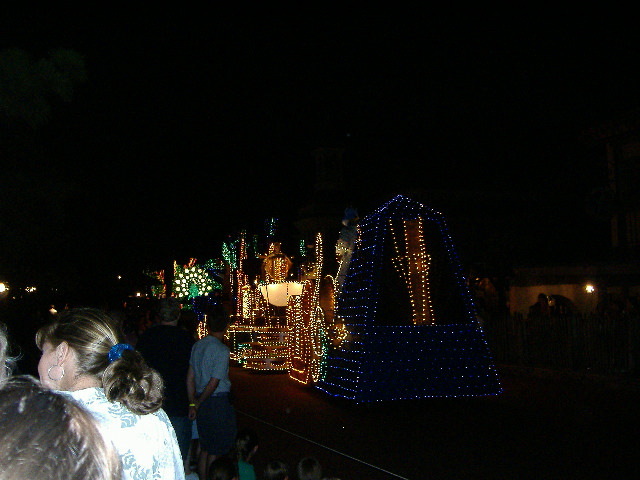 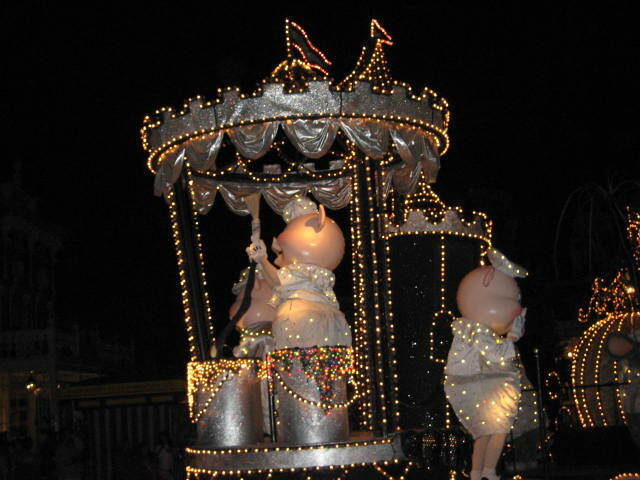 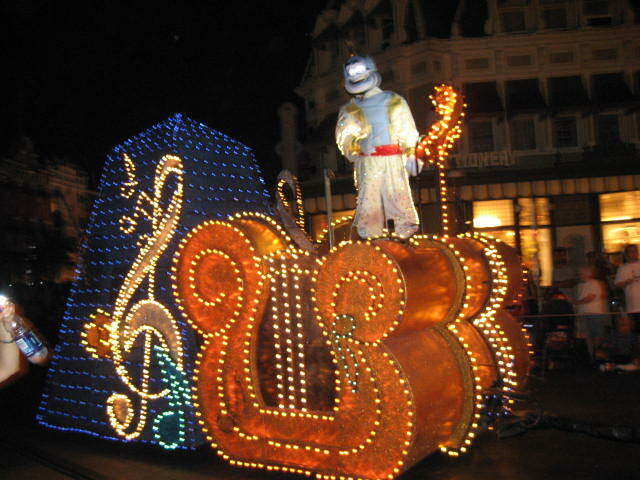 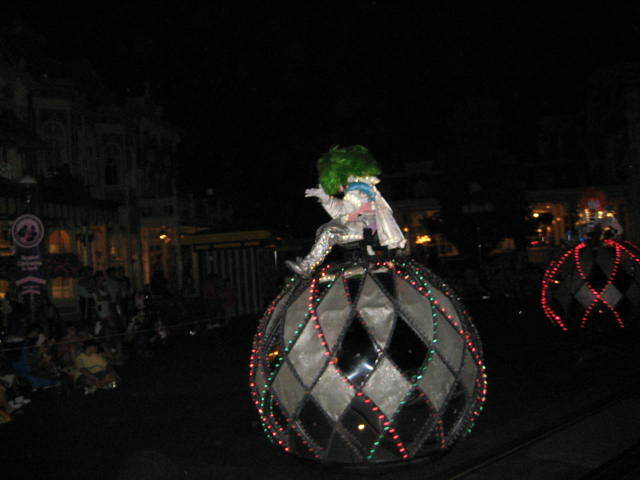 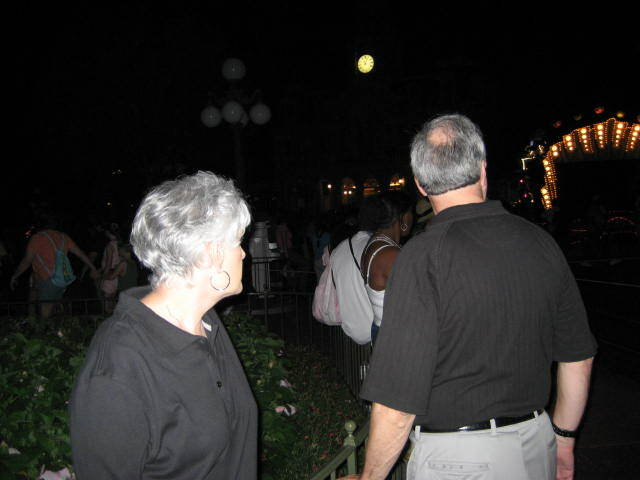 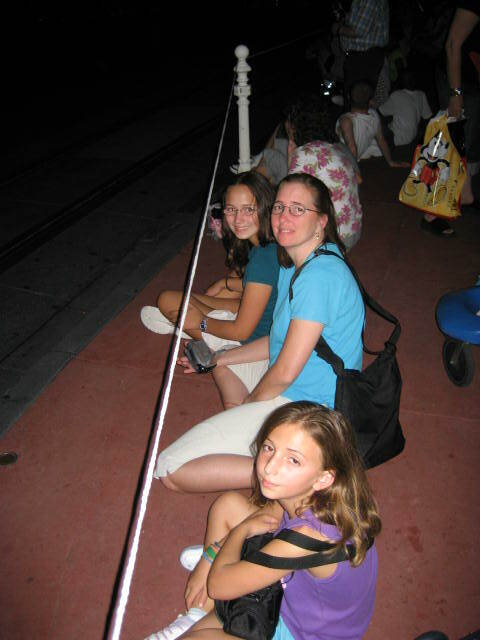 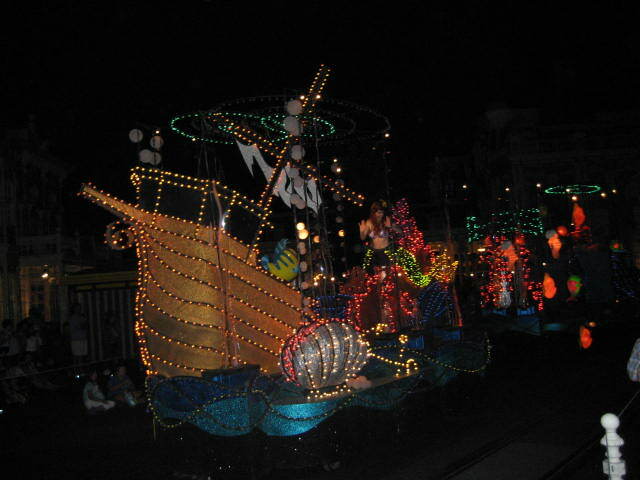 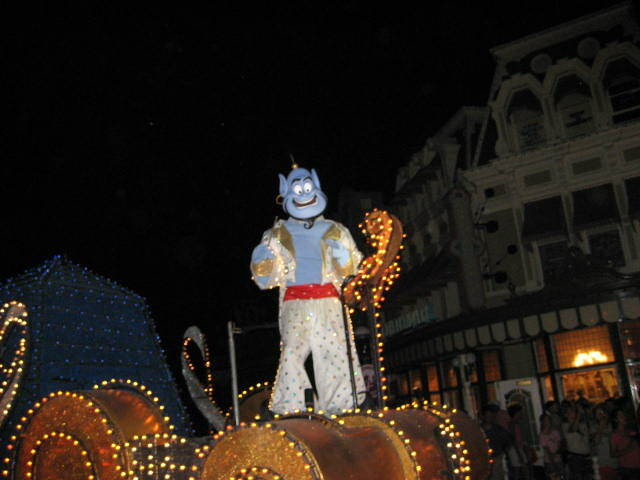 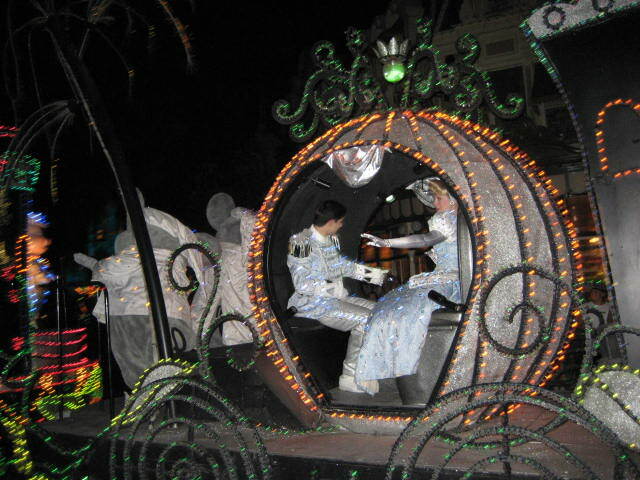 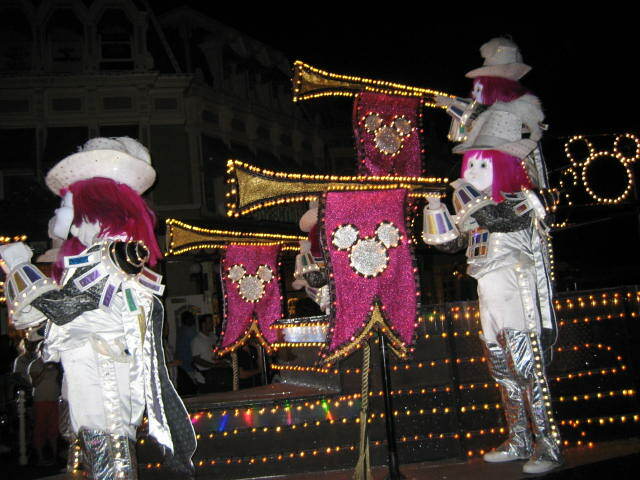 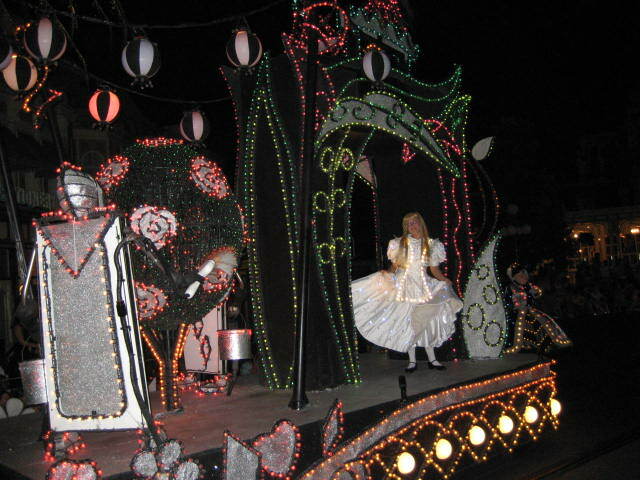 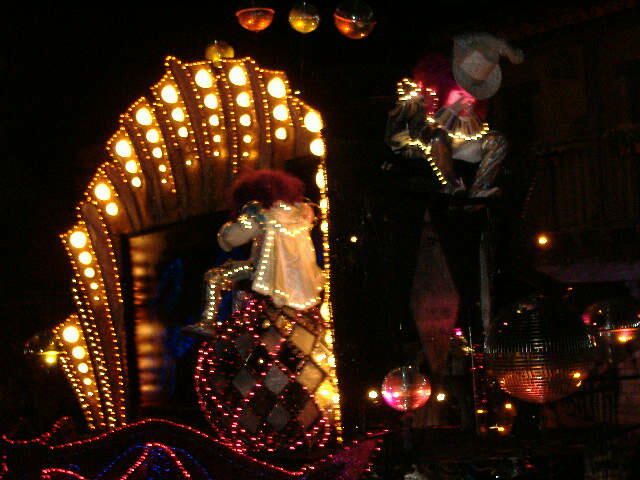 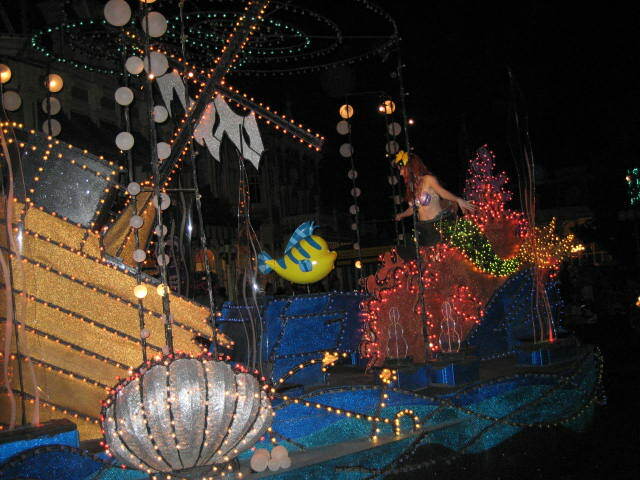 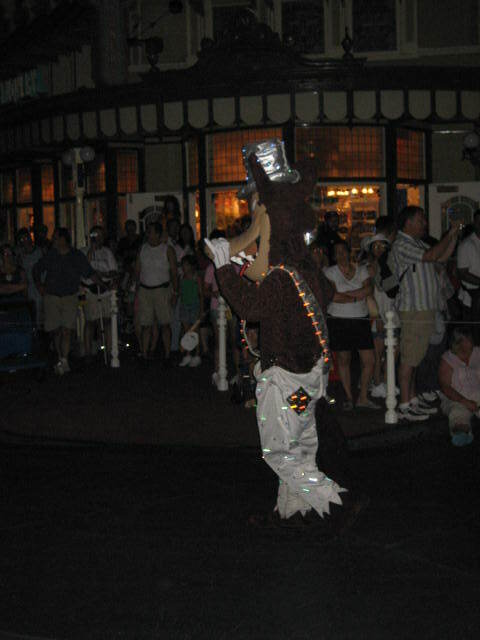 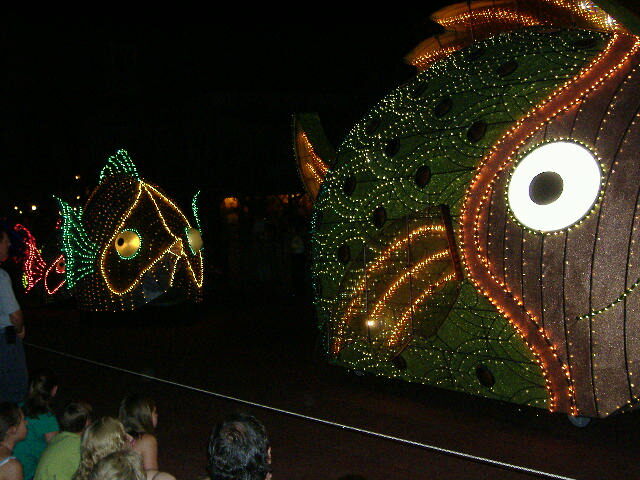 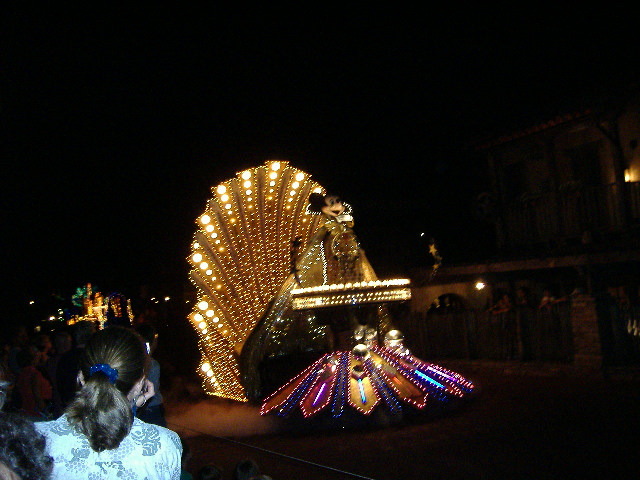 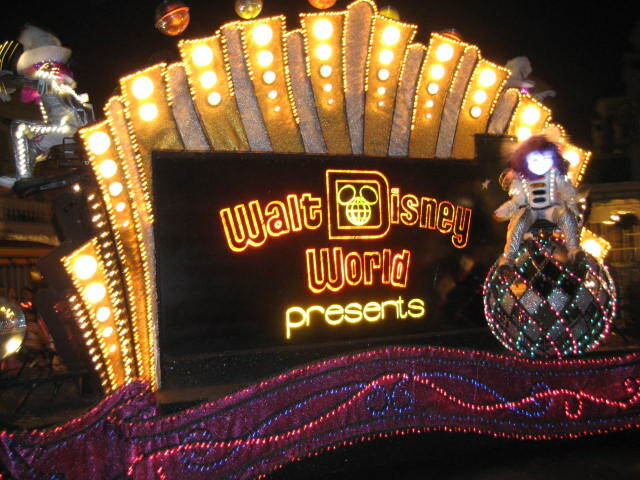 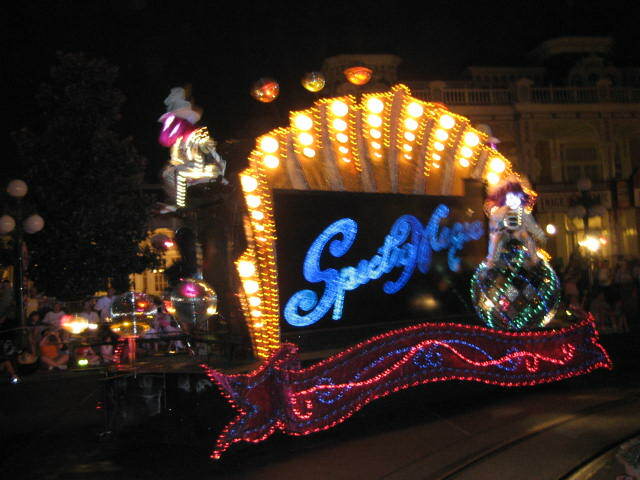 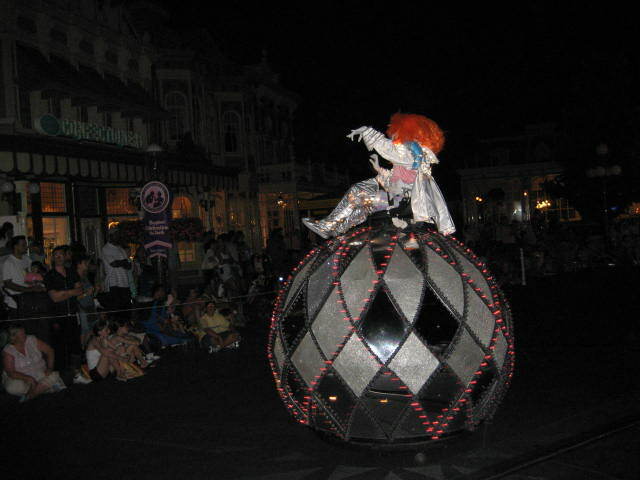 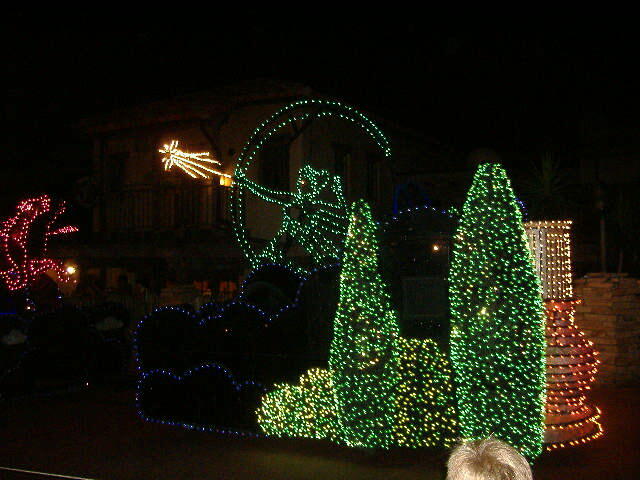 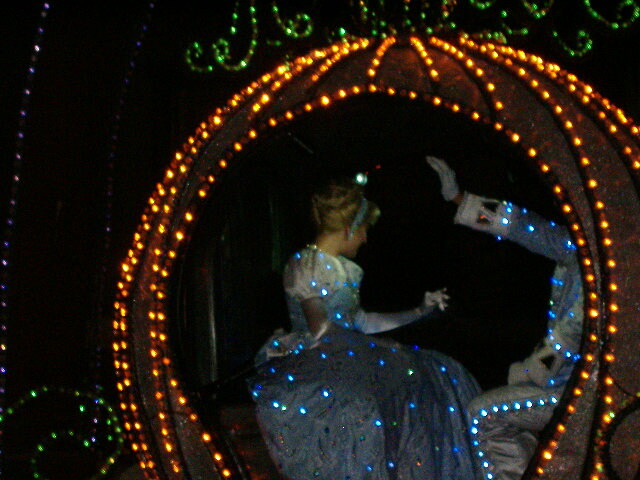 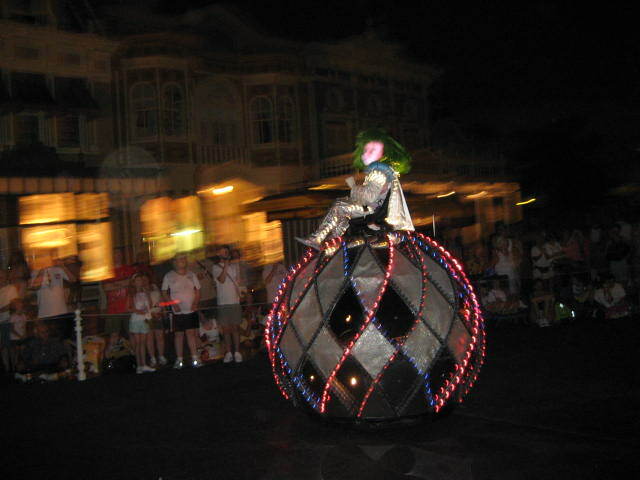 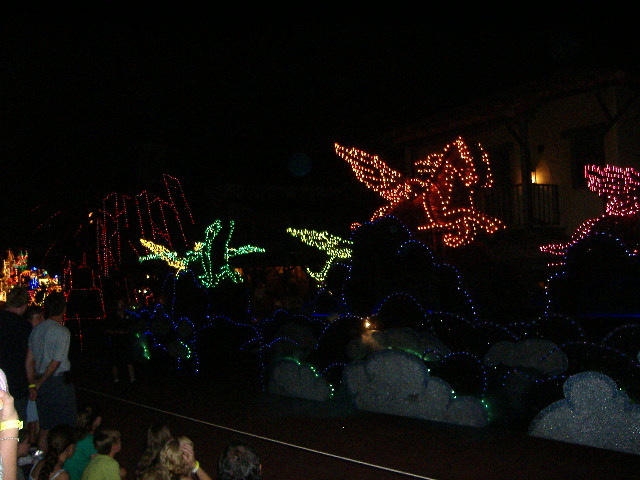 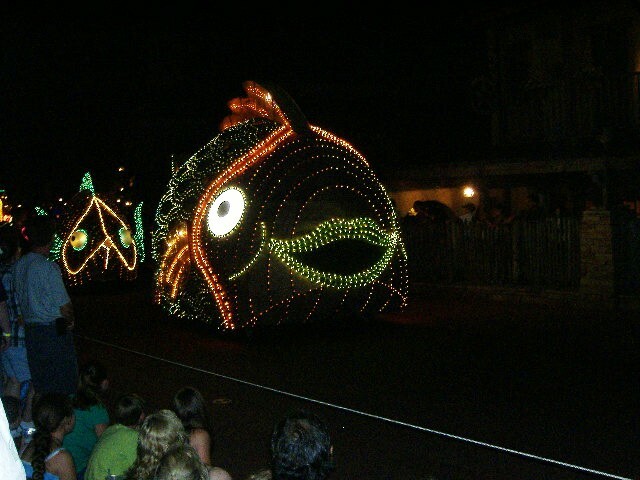 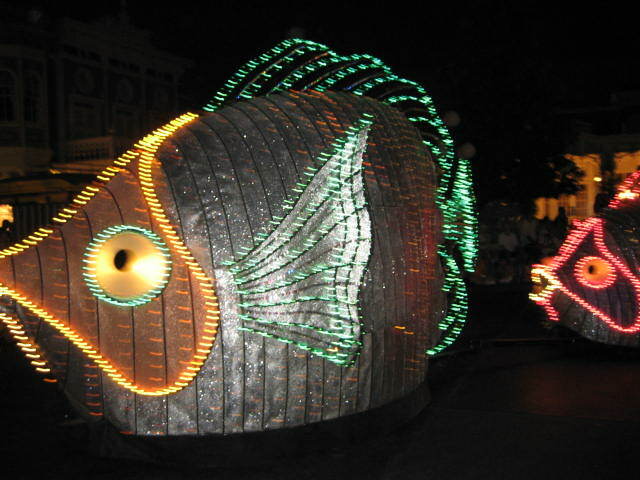 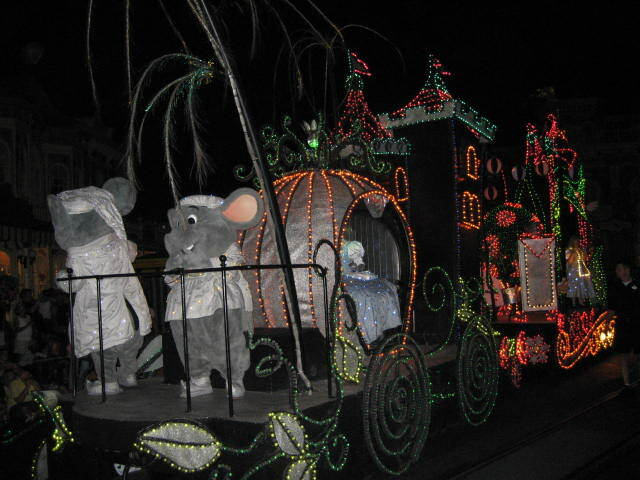 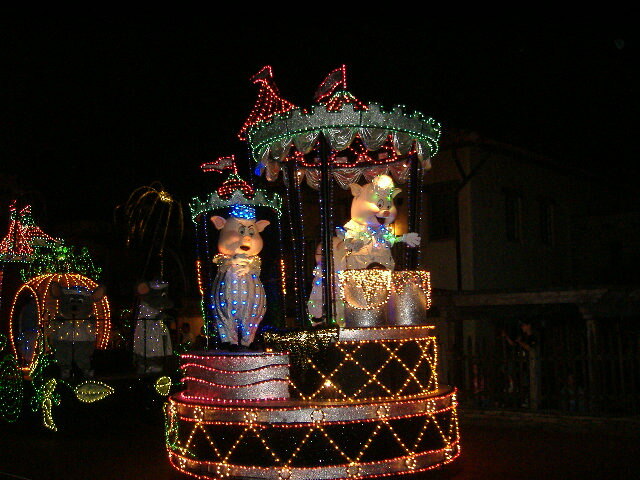 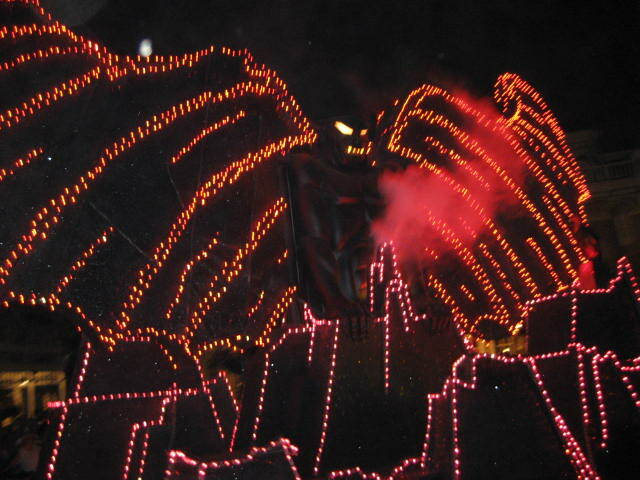 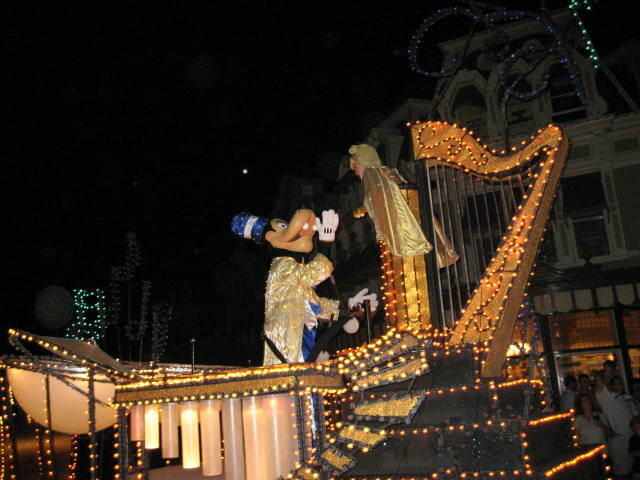 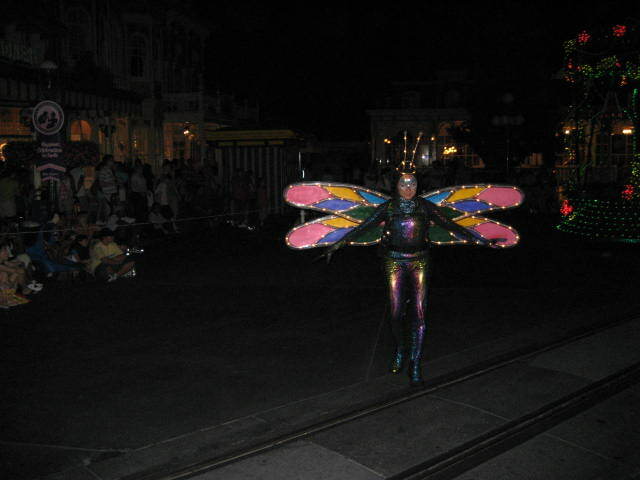 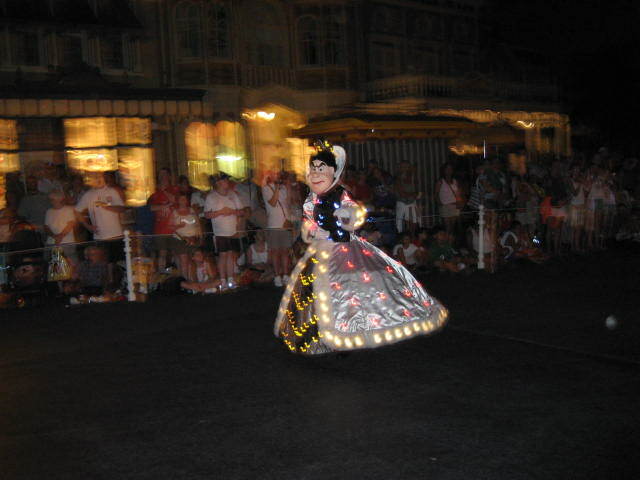 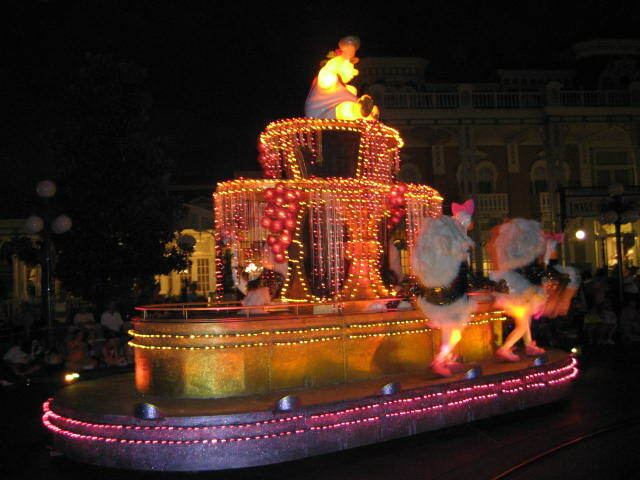 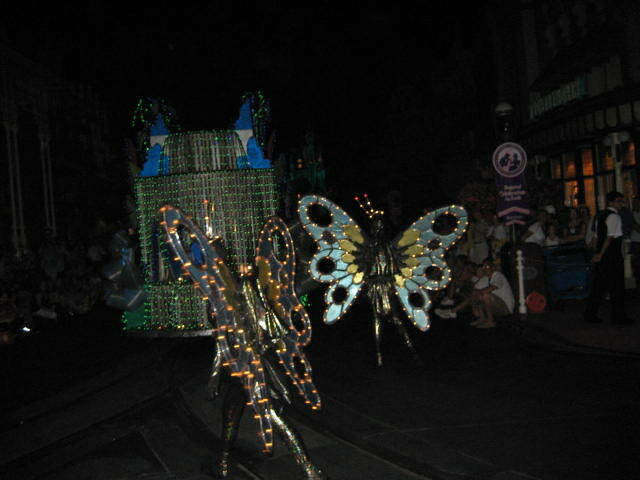 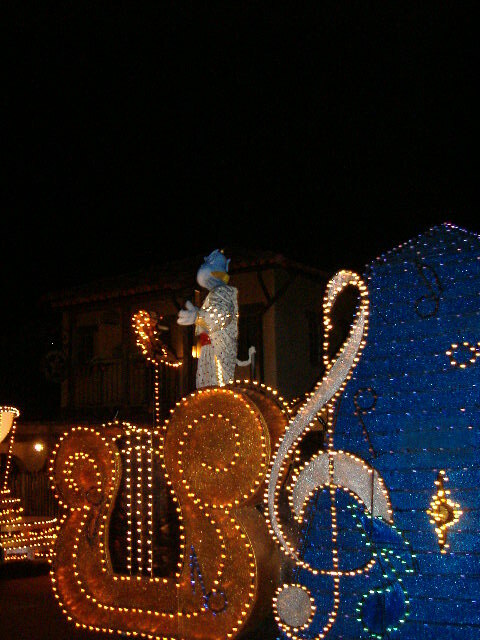 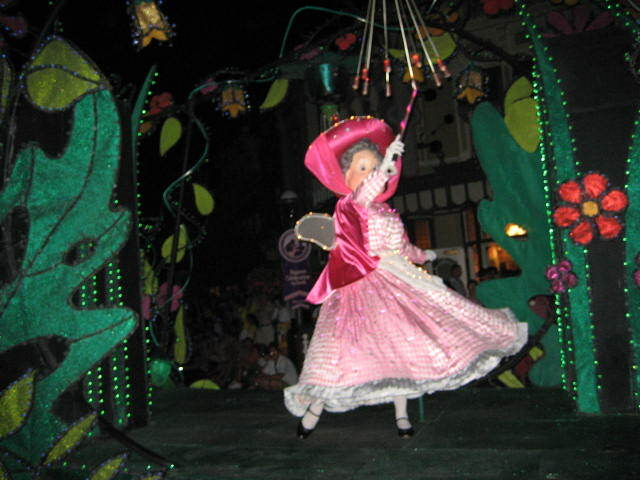 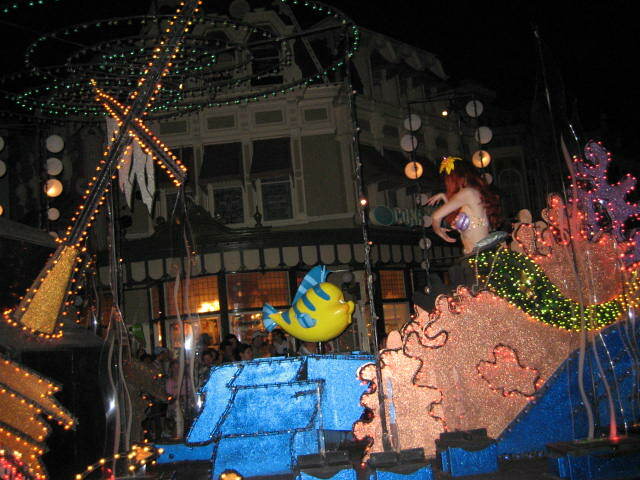 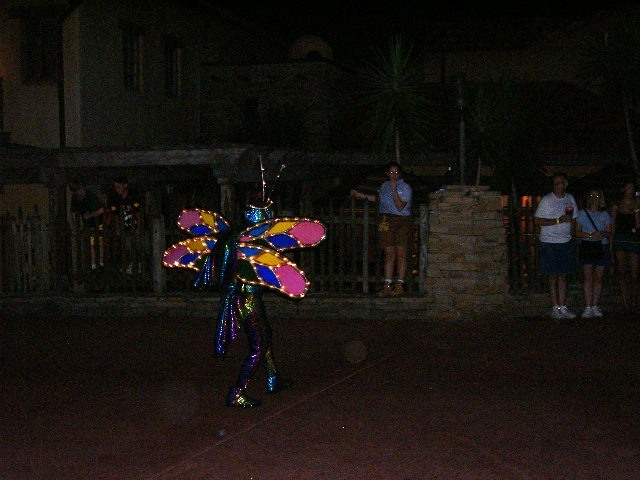 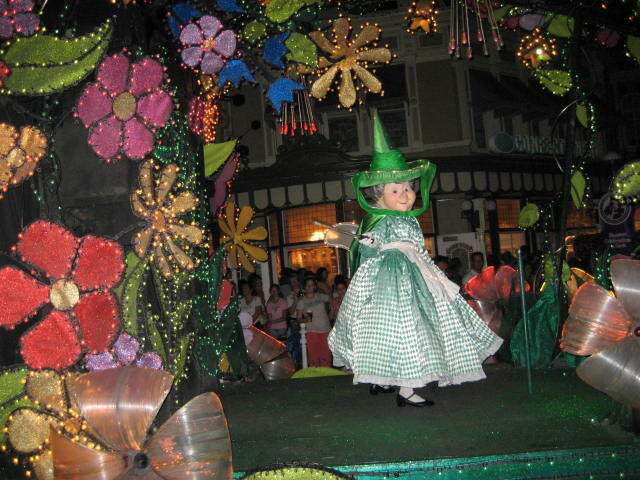 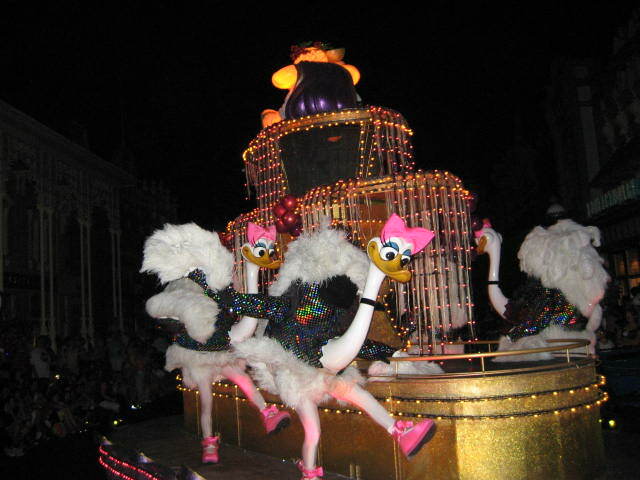 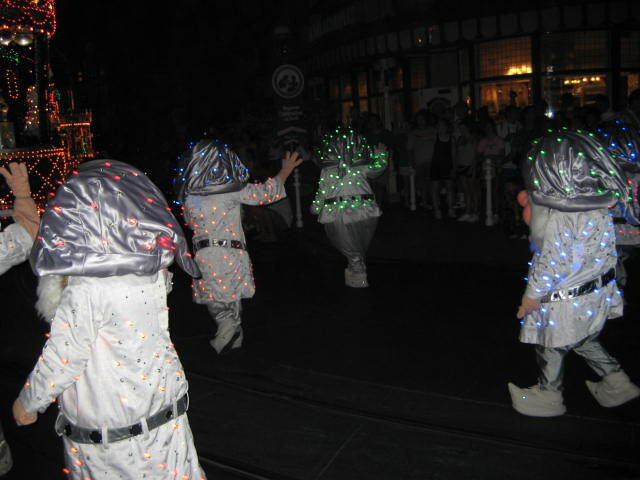 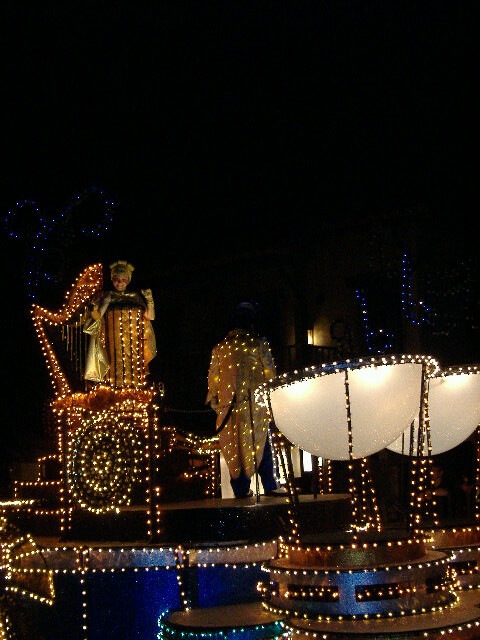 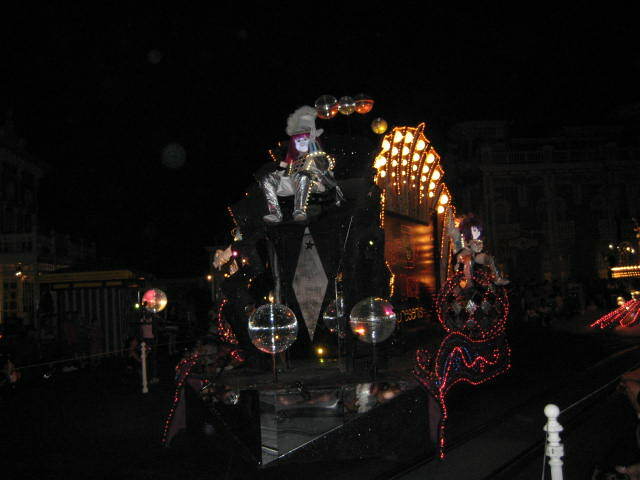 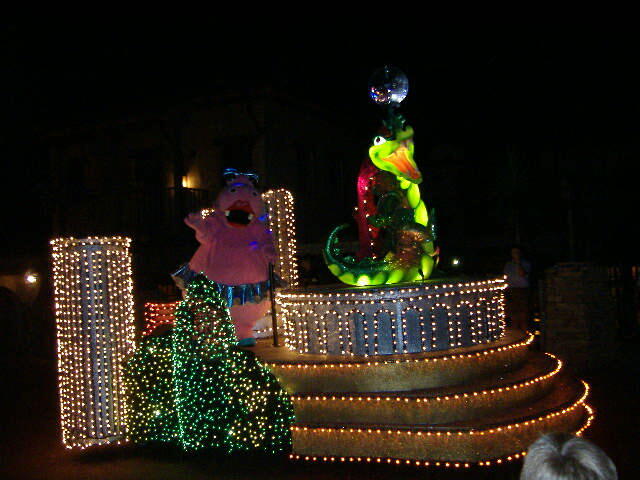 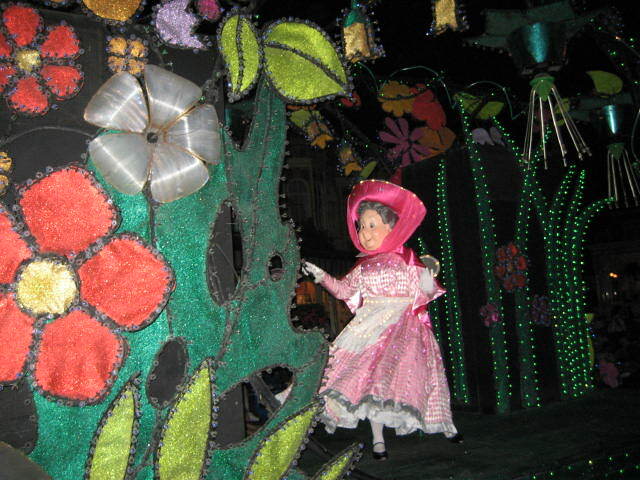 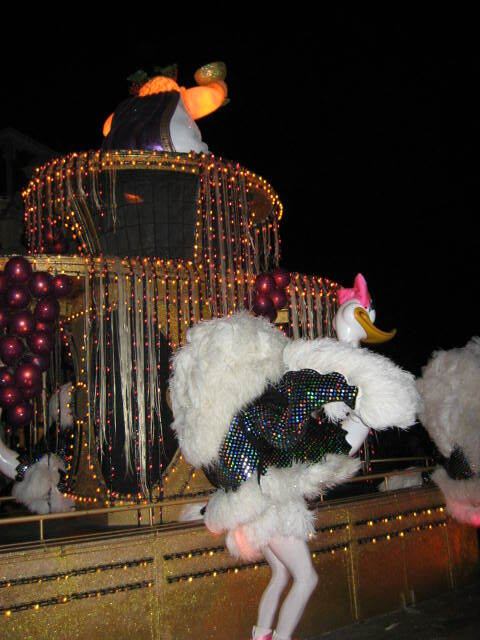 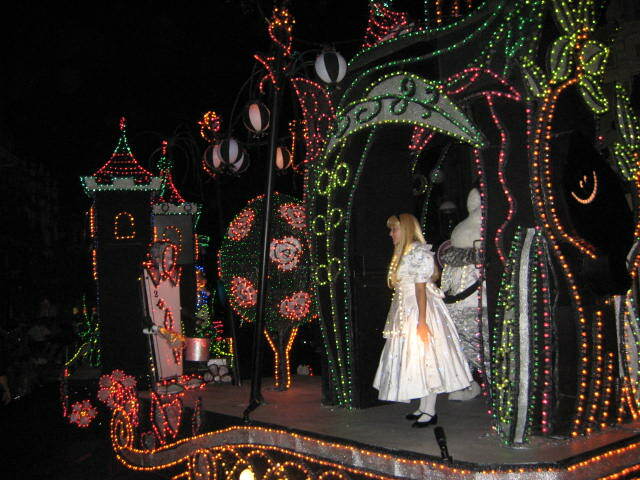 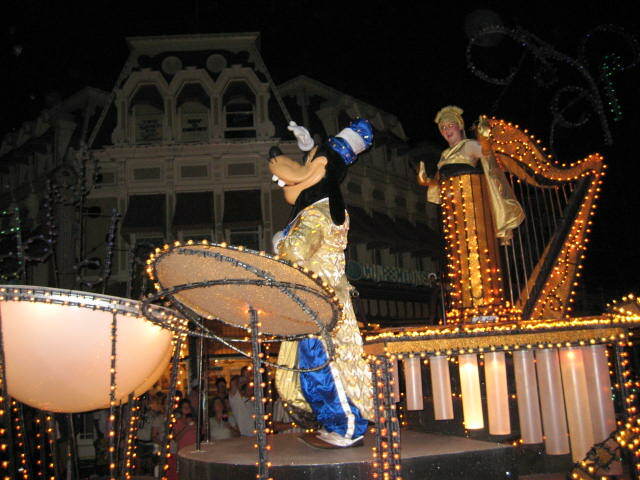 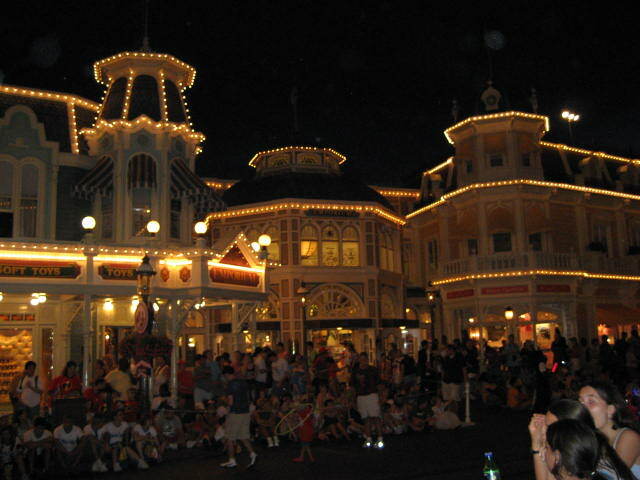 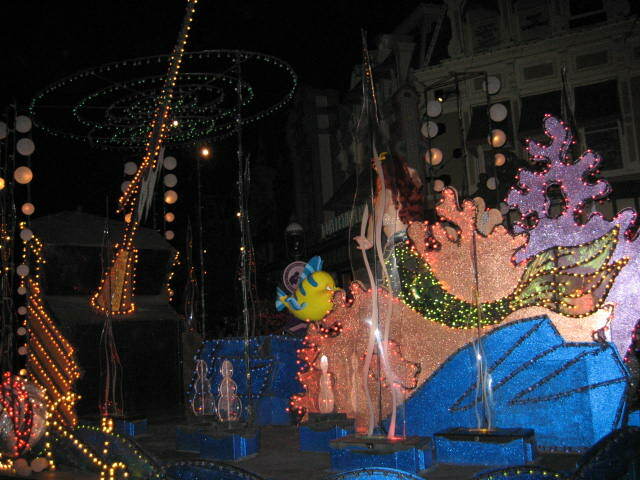 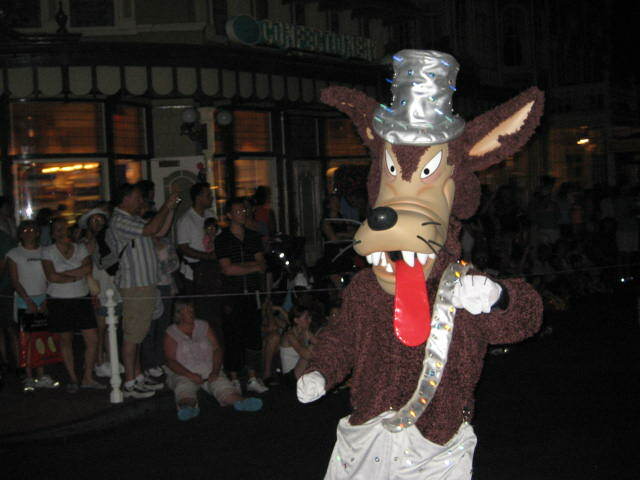 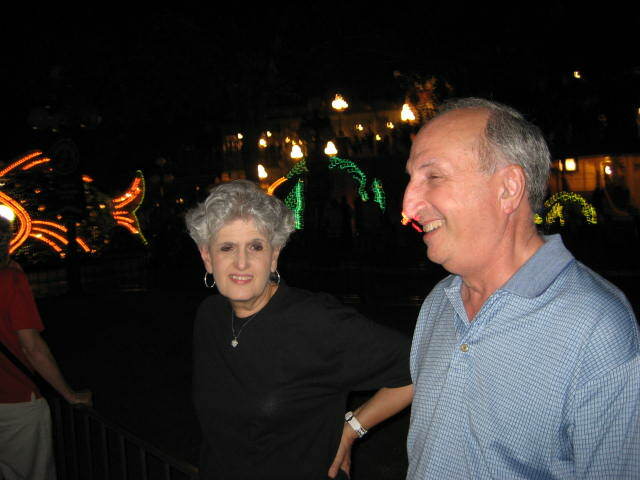 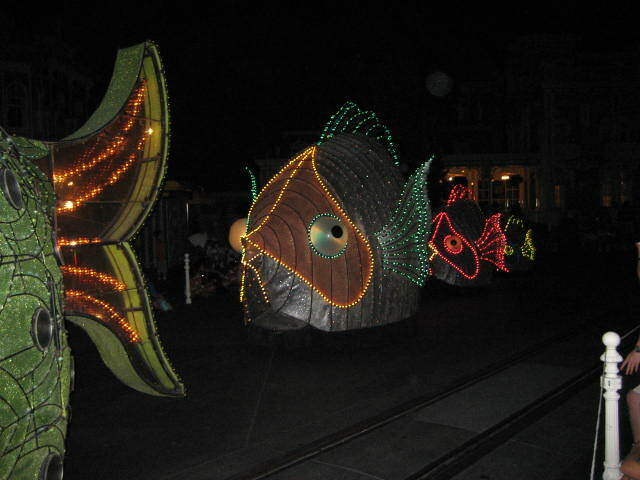 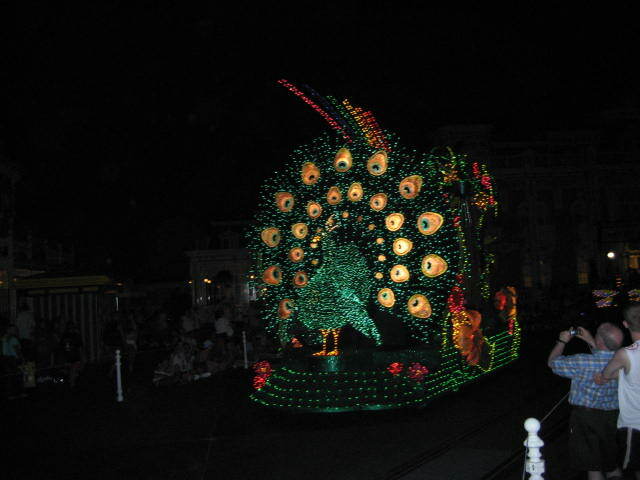 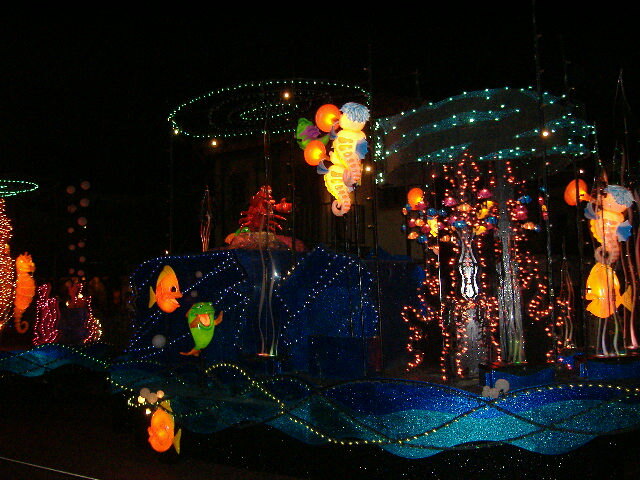 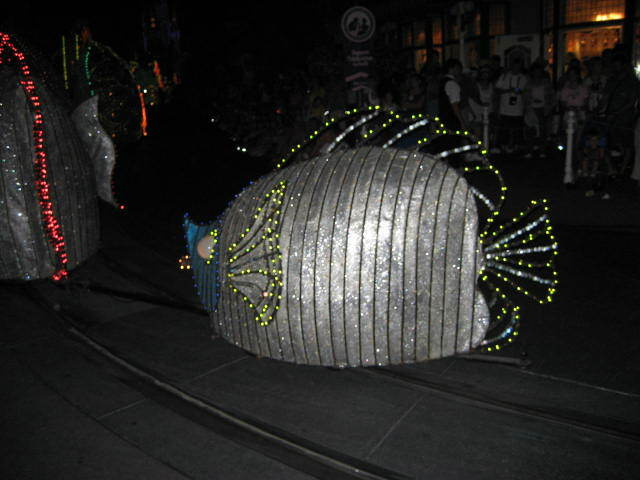 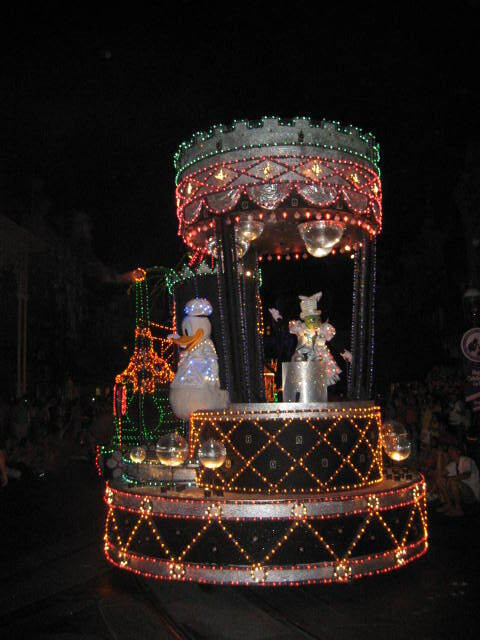 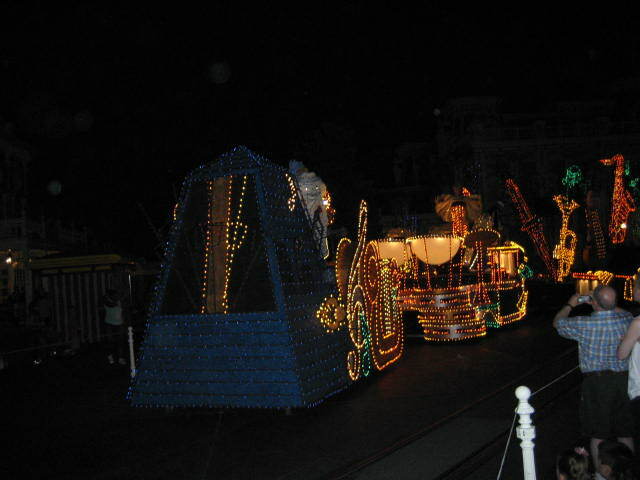 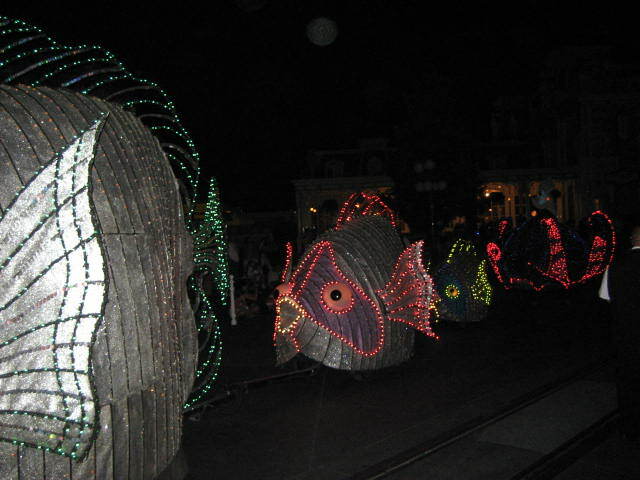 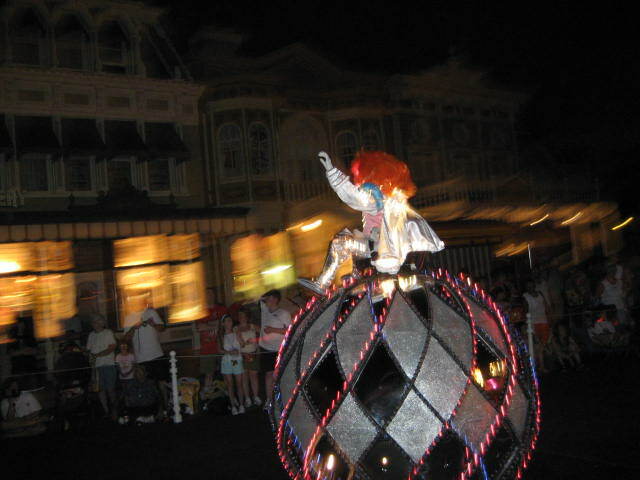 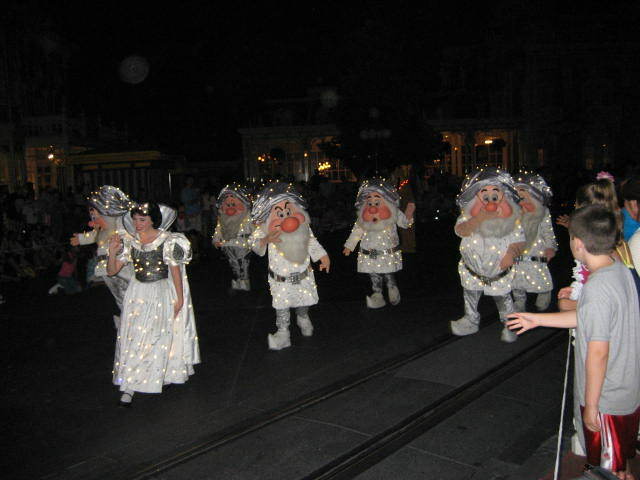 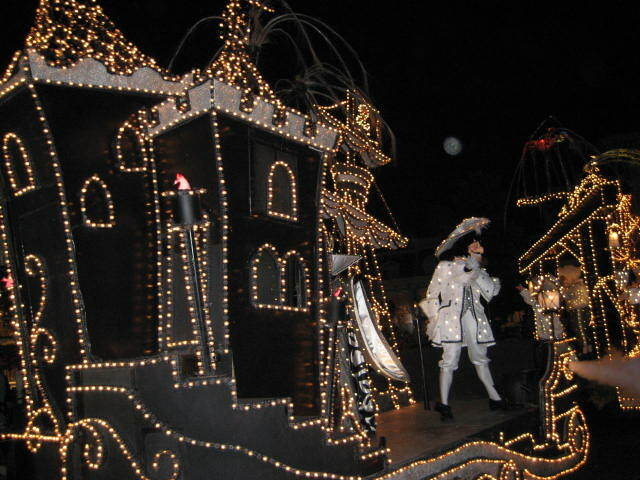 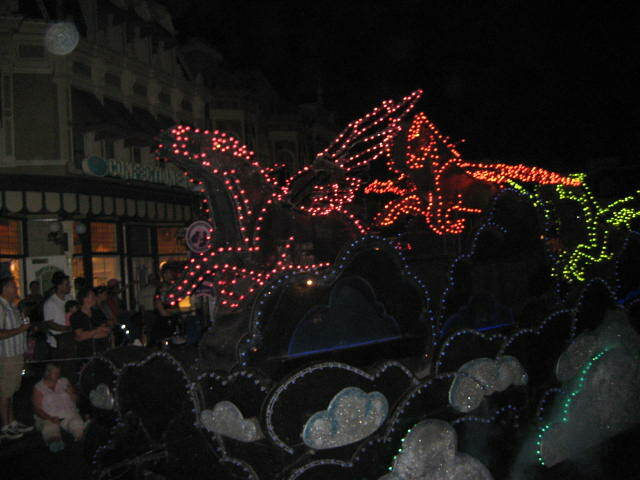 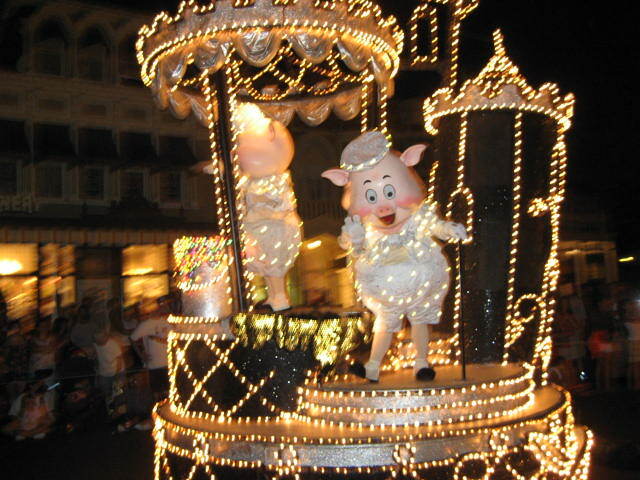 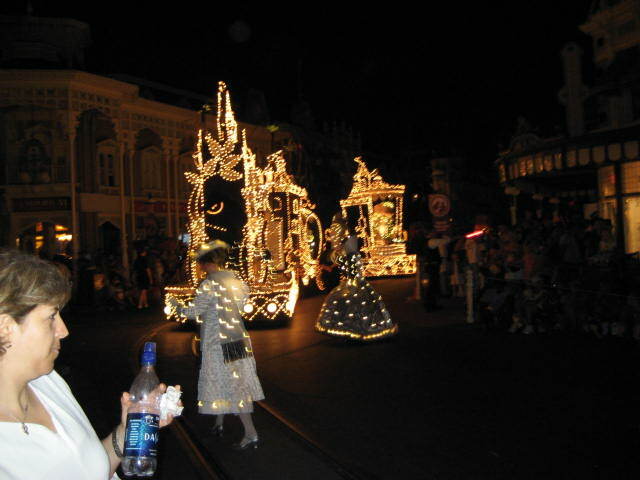 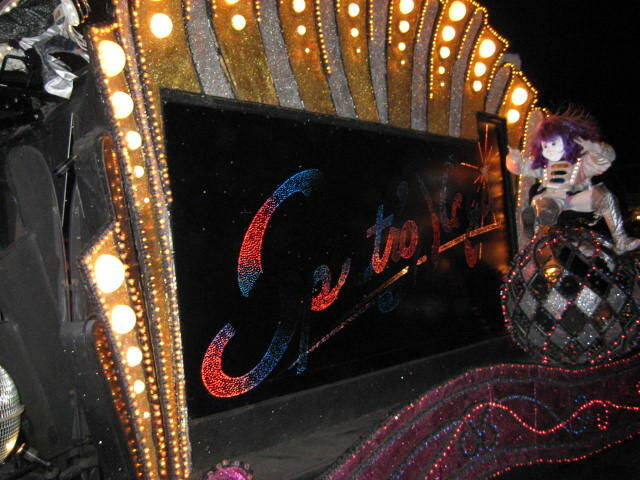 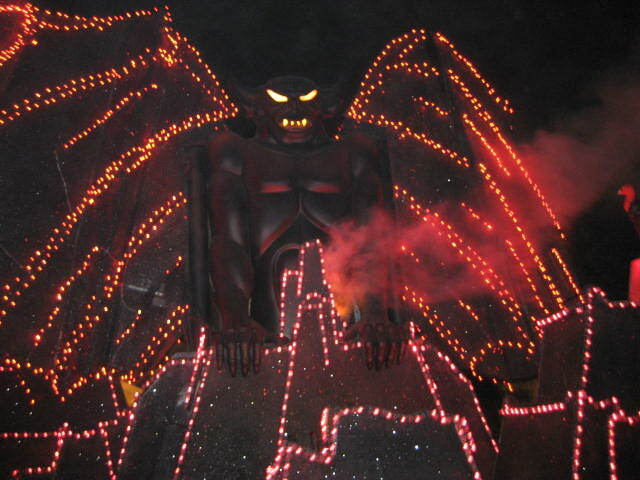 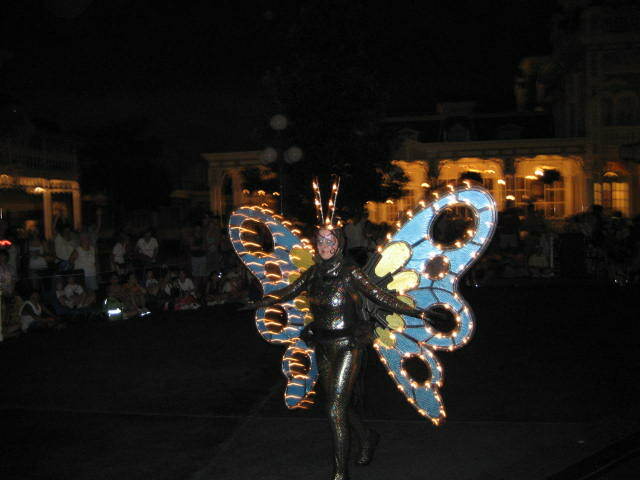 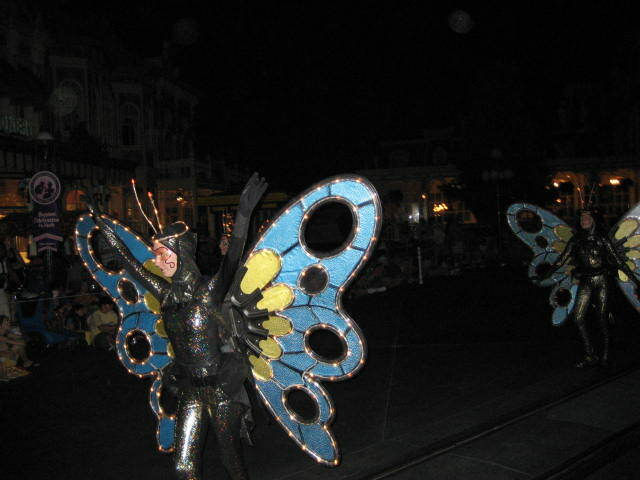 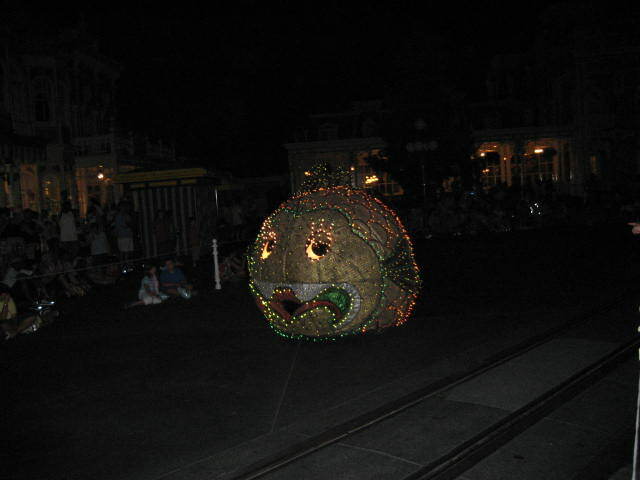 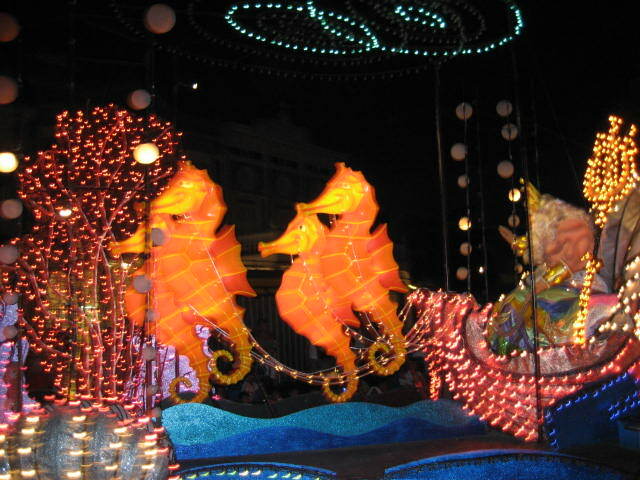 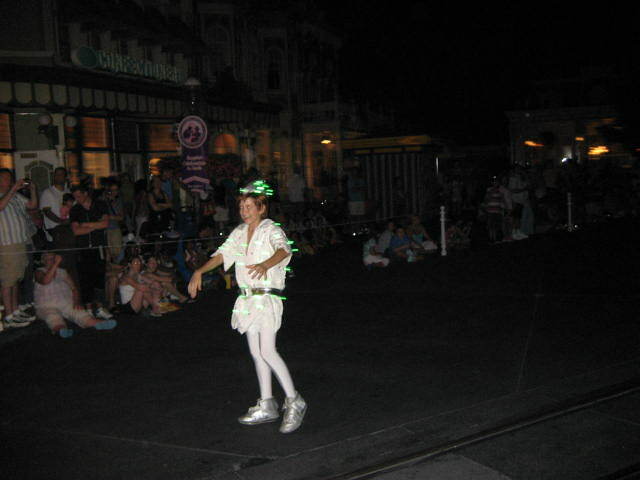 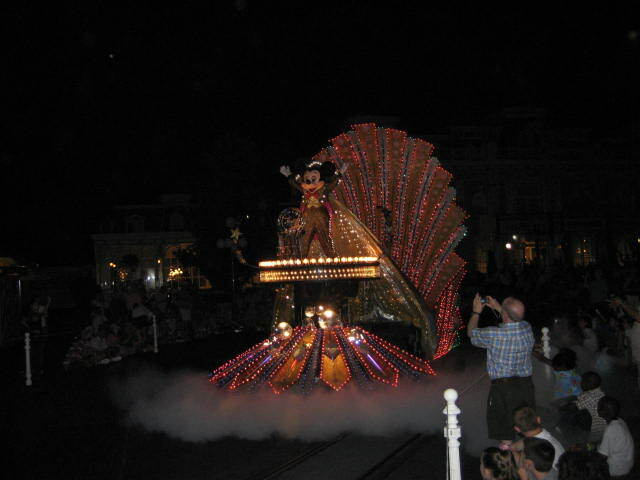 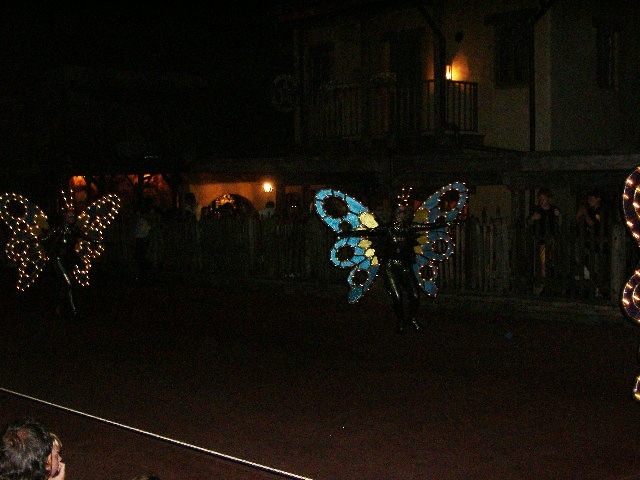 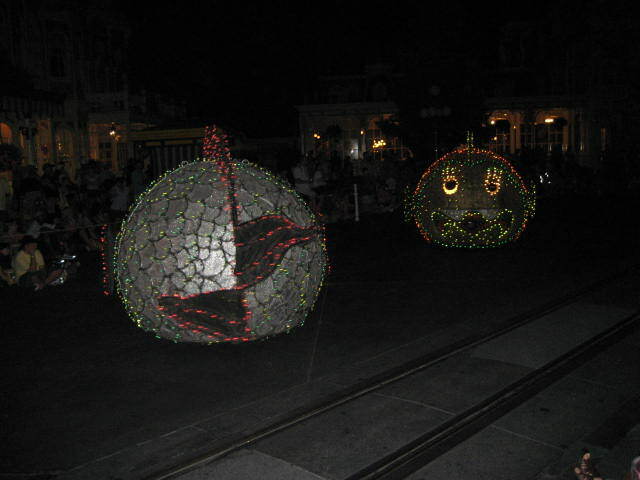 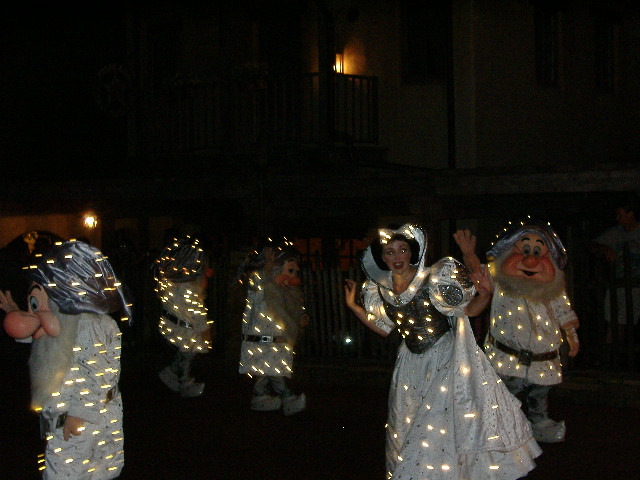 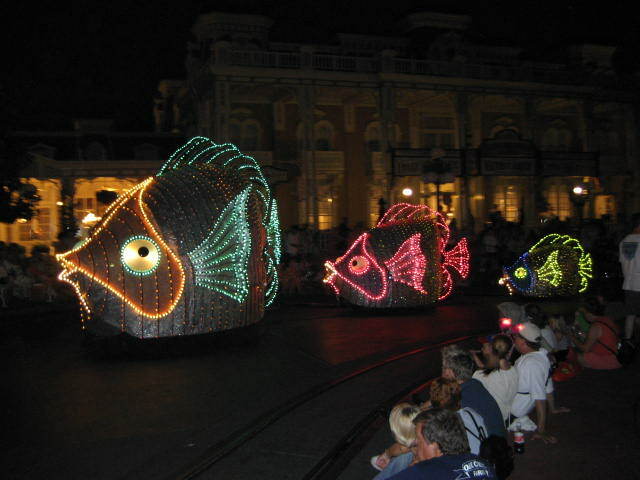 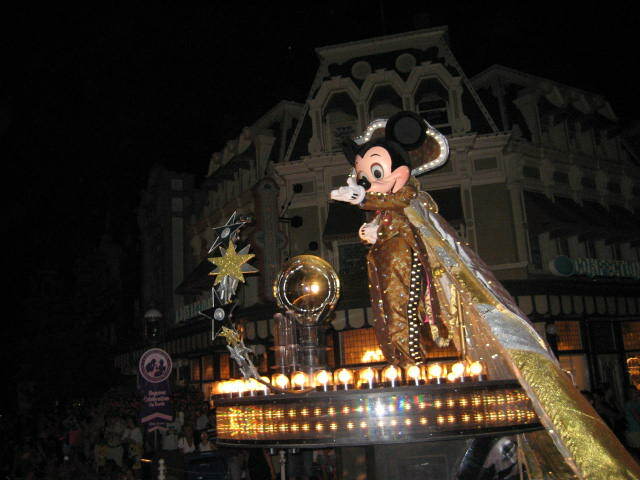 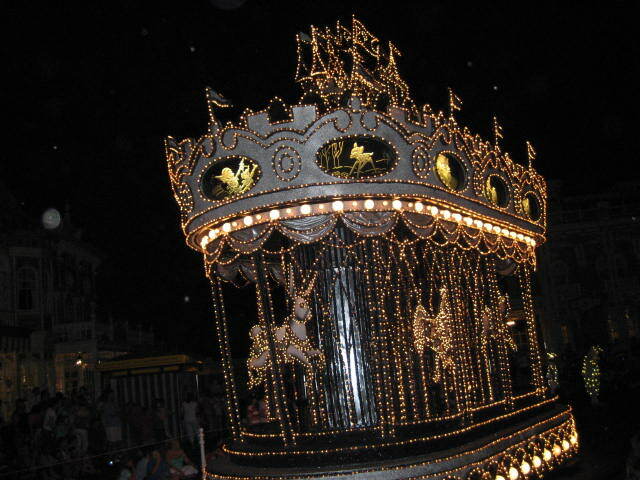 Officially replacing the Main Street Electrical Parade in 2001, this a great and entertaining night time parade. 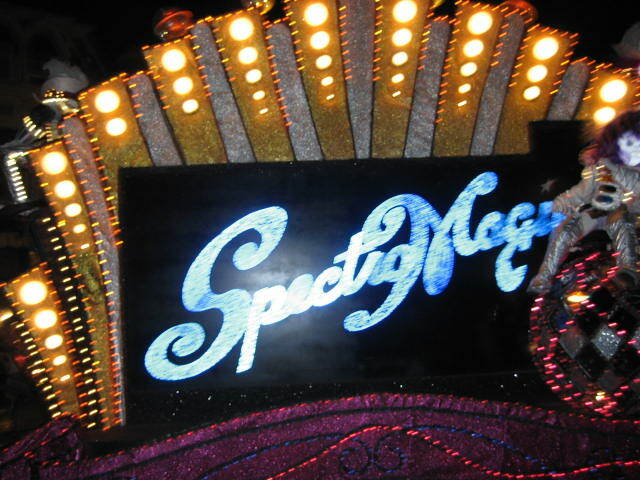 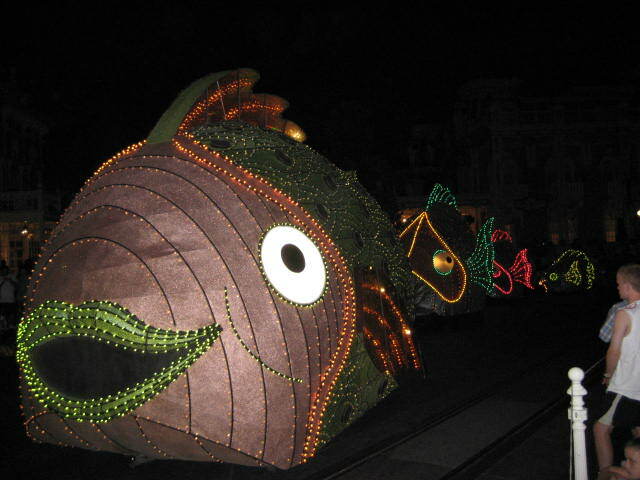 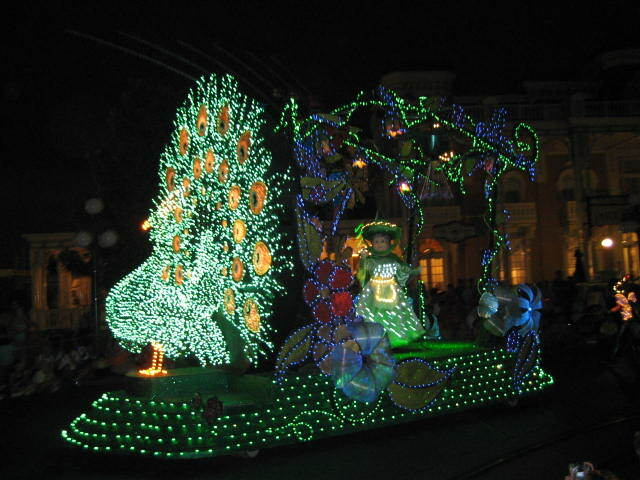 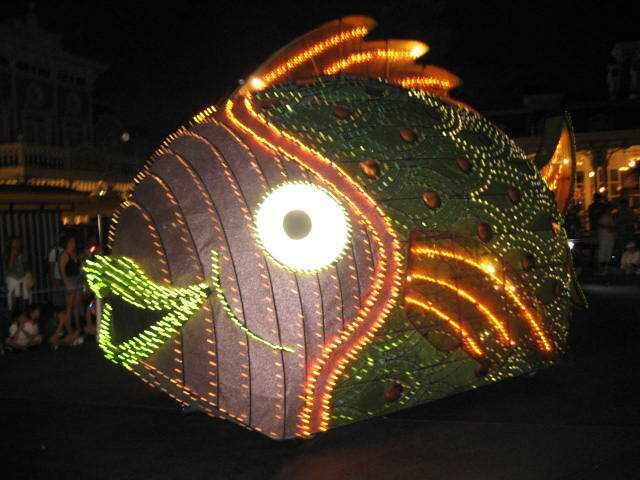 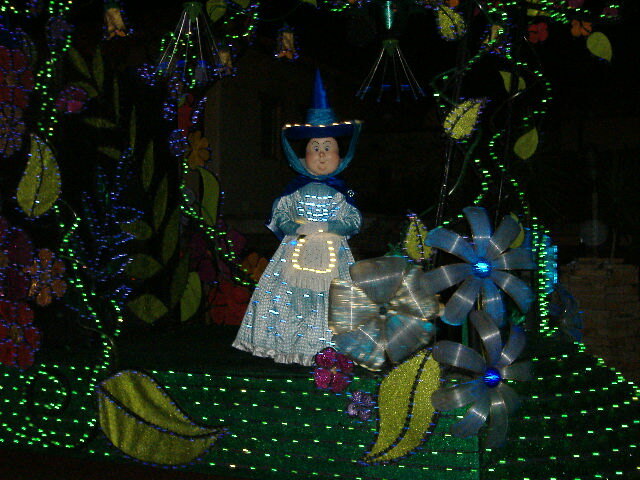 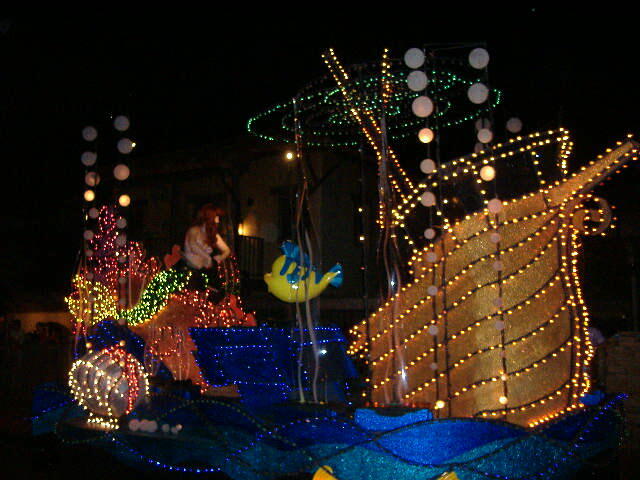 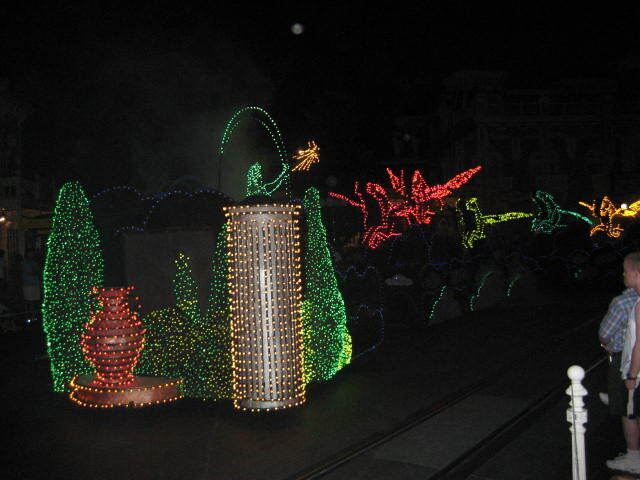 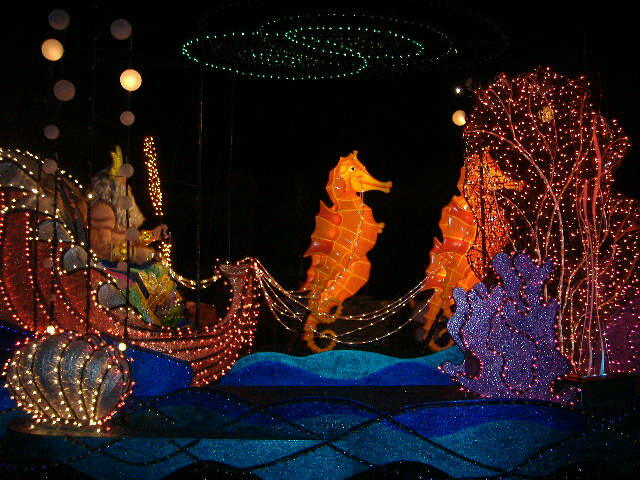 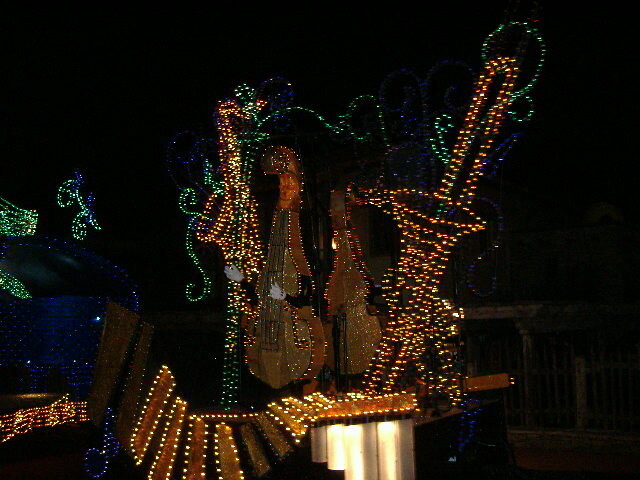 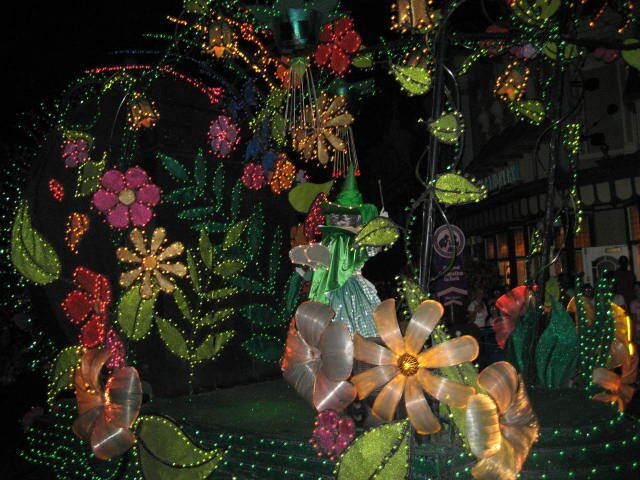 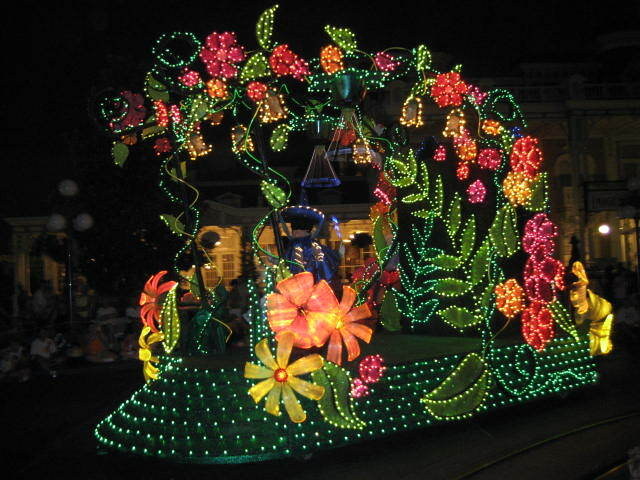 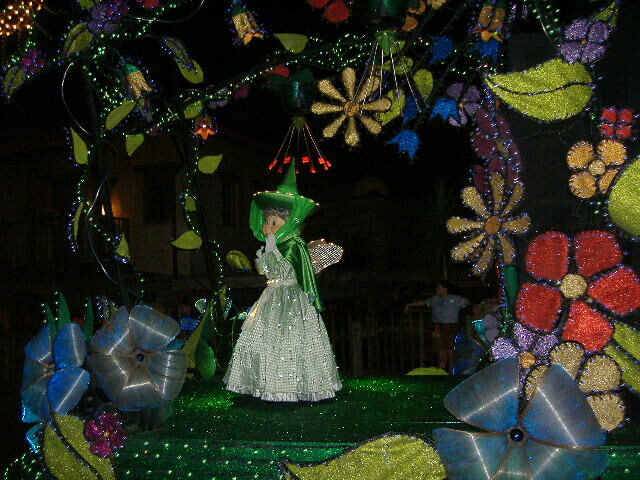 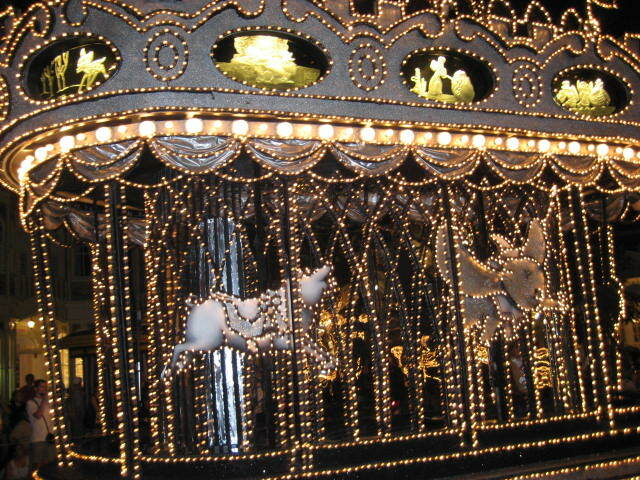 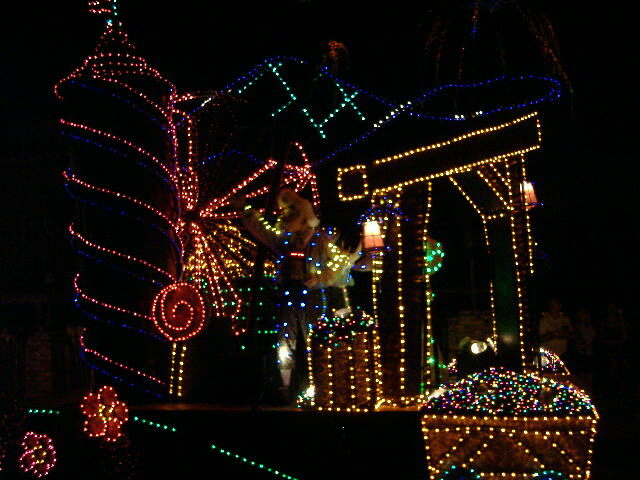 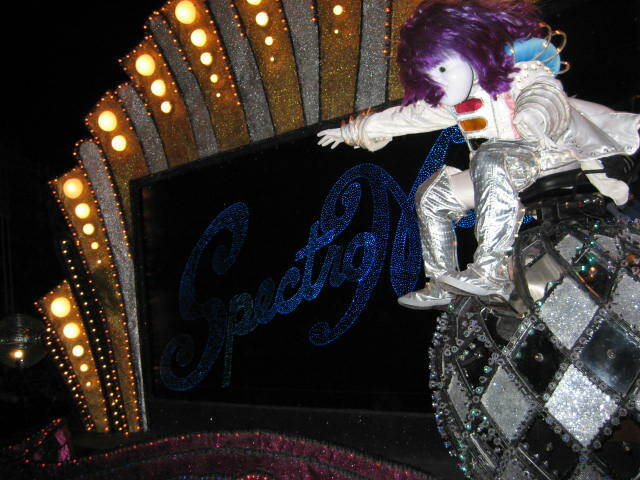 There are many many brilliantly lit fiber optic and mini light floats in this very enjoyable parade. 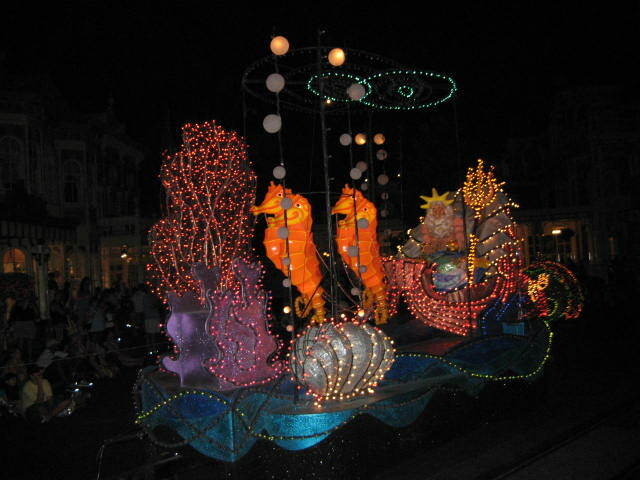 From King Triton to Cinderella, they are all here. 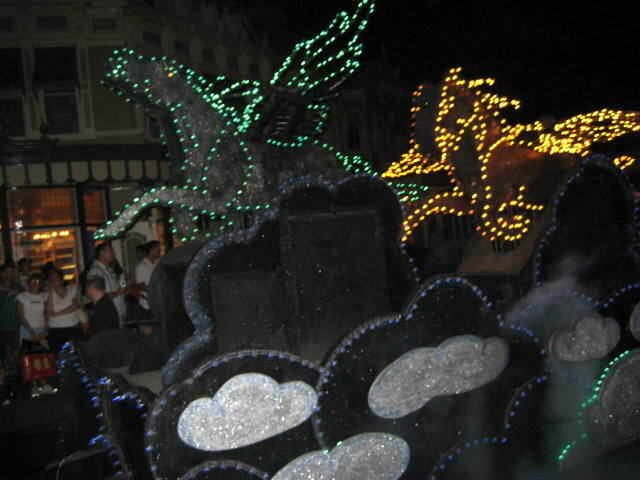 Some 600,000 lights light up the parade route. 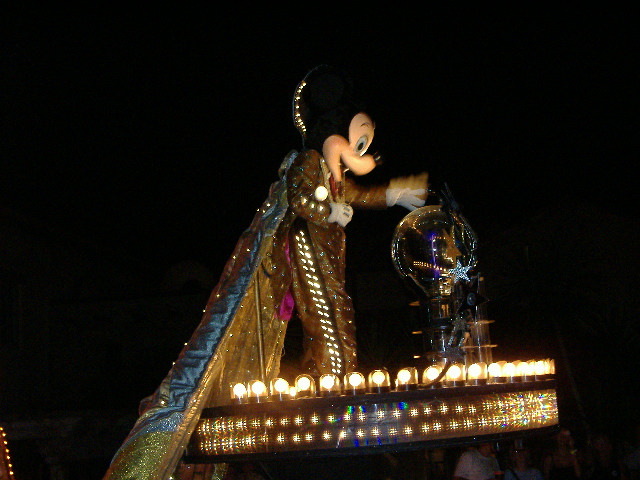 Just about all of the Disney Characters make an appearance in the parade with Mickey Mouse leading the gang of animation stars. 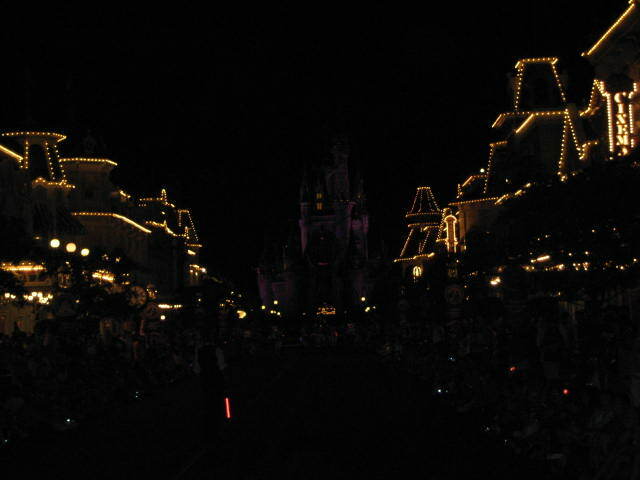 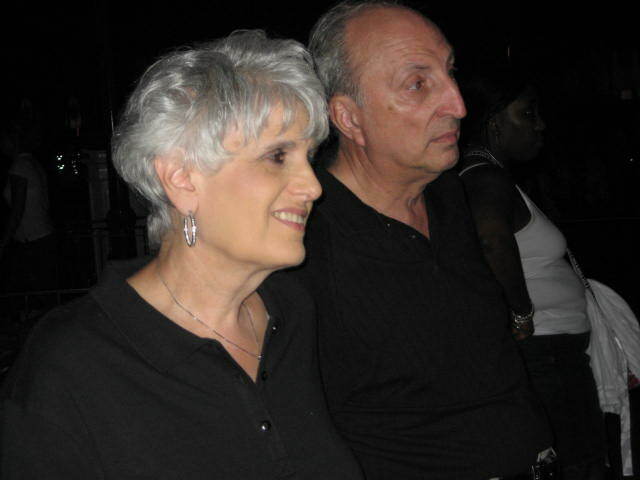 Tip - The parade is very popular - so consider finding a viewing spot an hour before the posted start time. 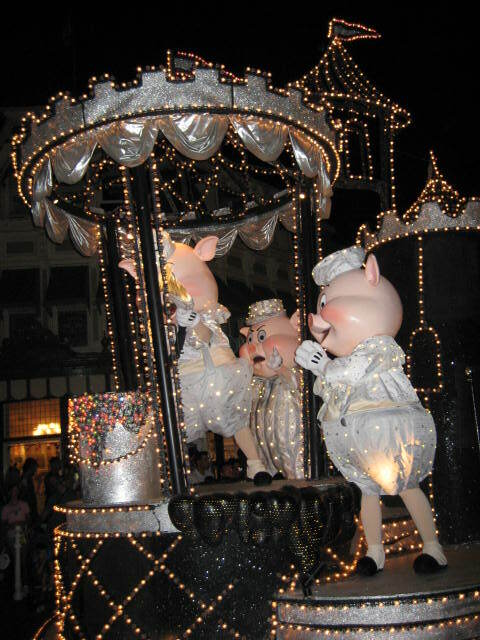 The Three Little Pigs say "Hi!" 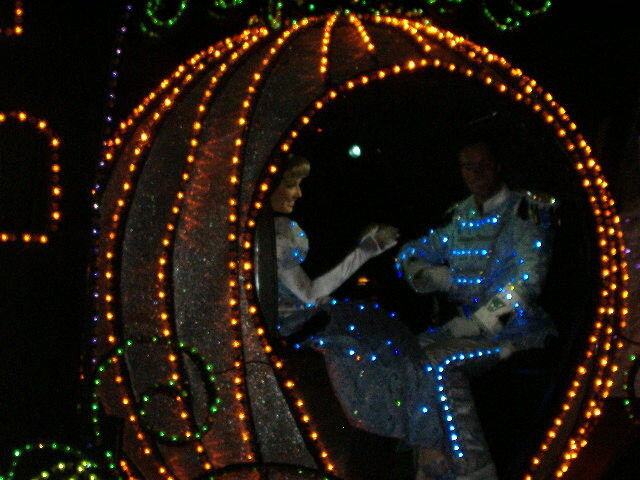 Look over there, it's Prince Charming and Cinderella! 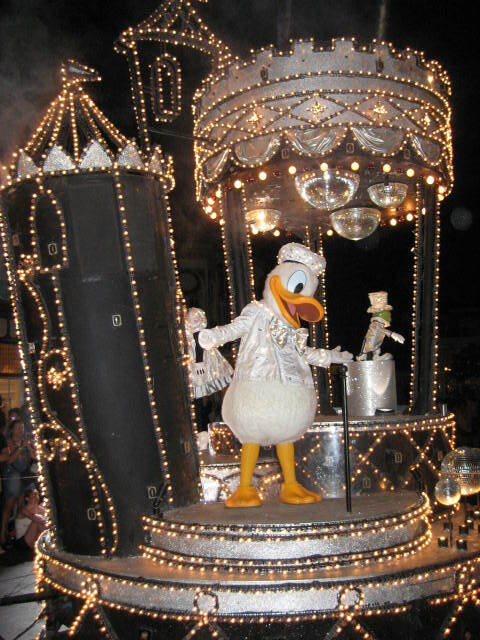 You're late, you're late, for a very important parade! 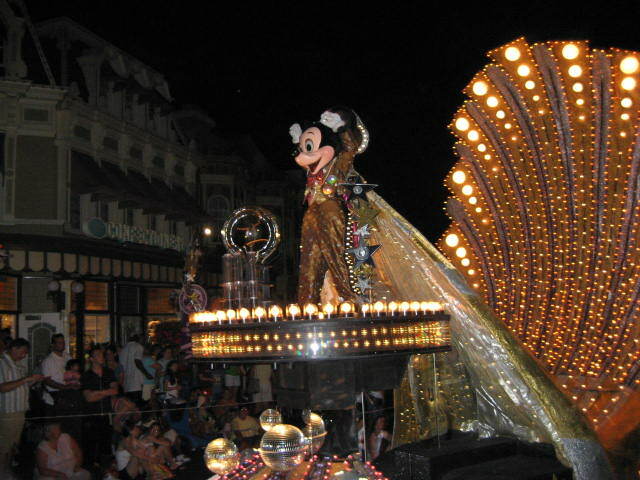 It's Mickey, the main mouse!! 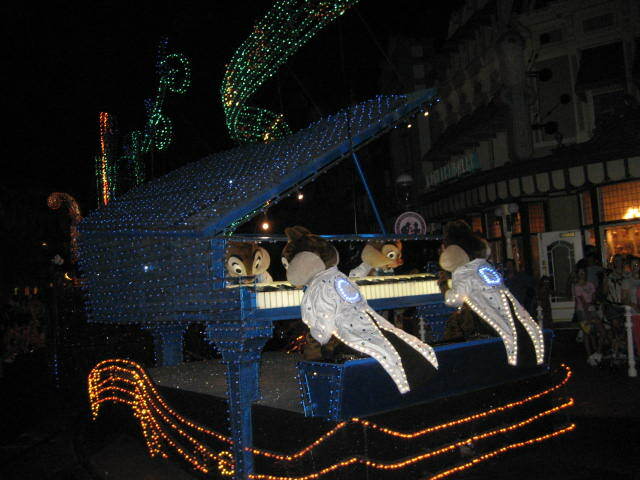 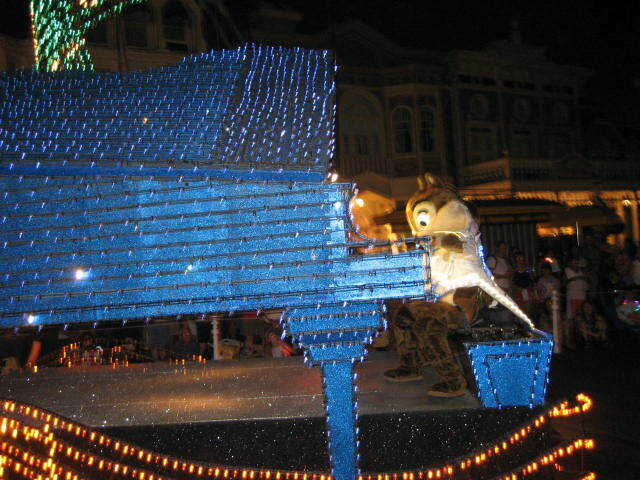 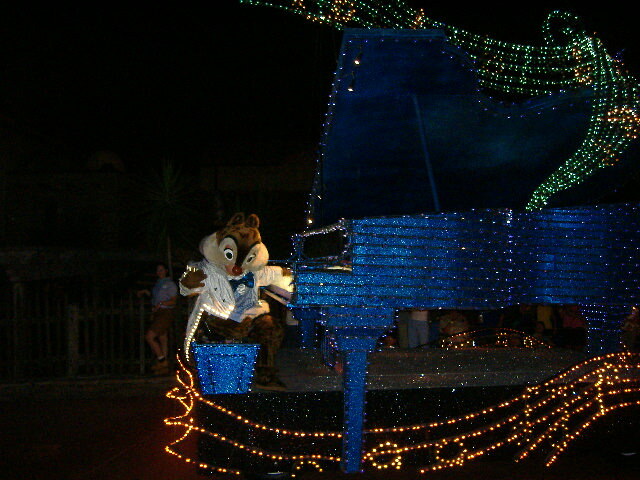 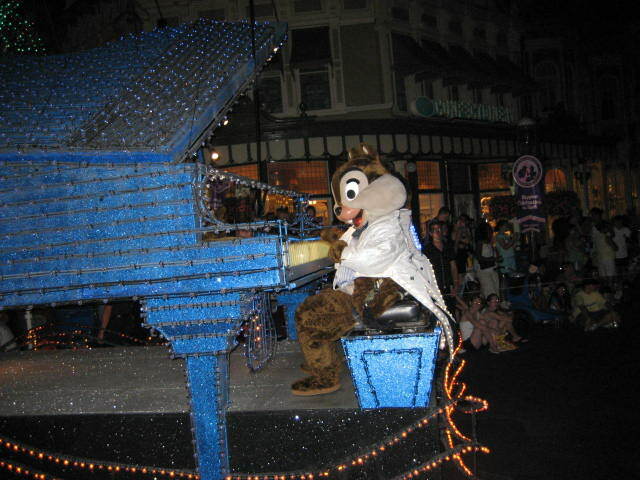 Chip and Dale just love their piano!